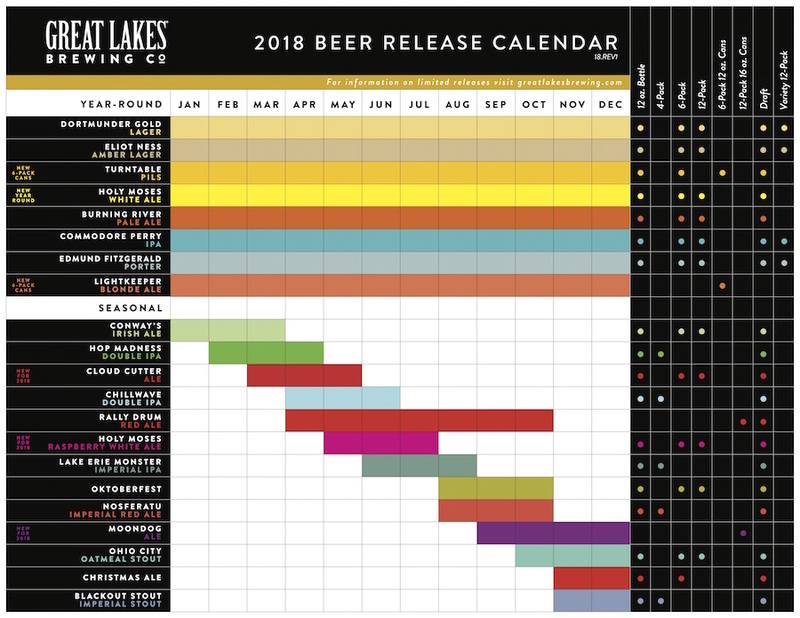 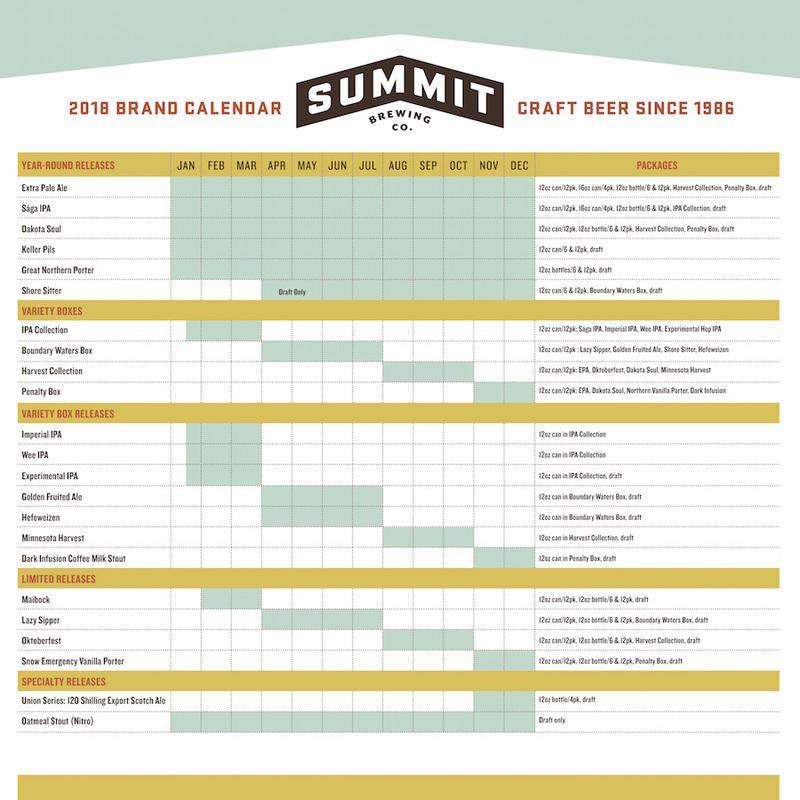 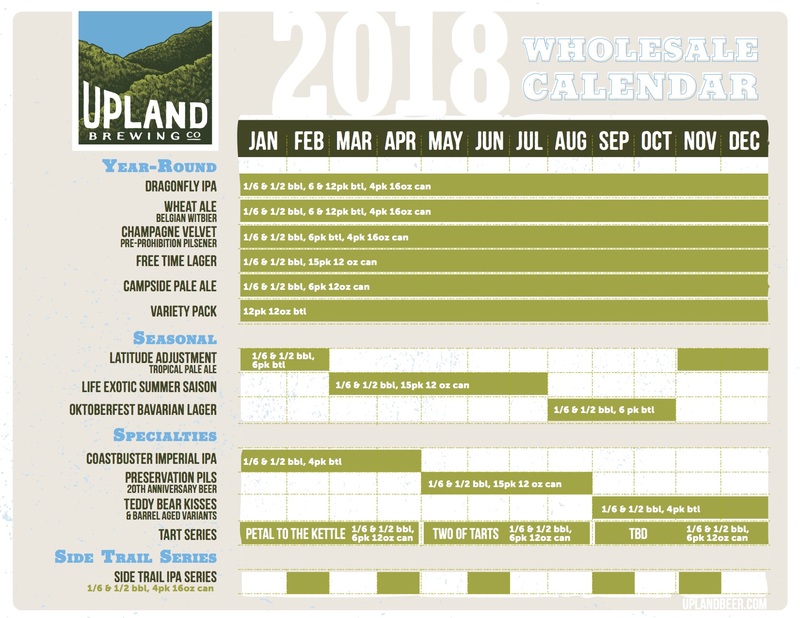 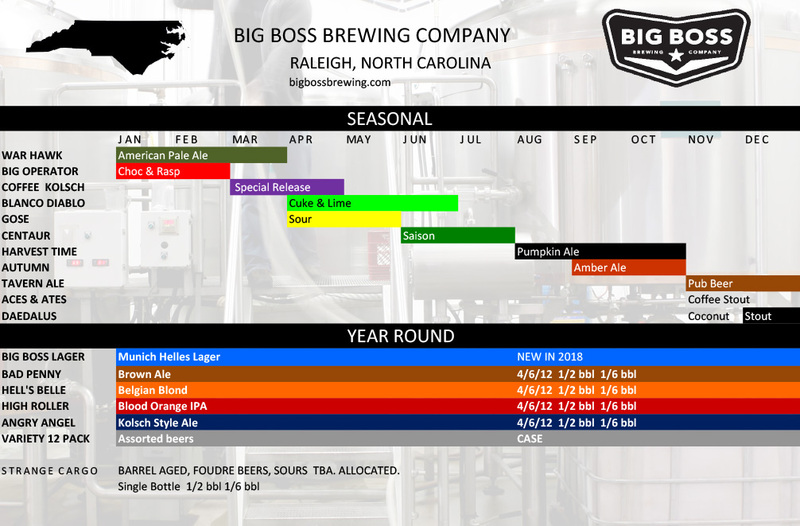 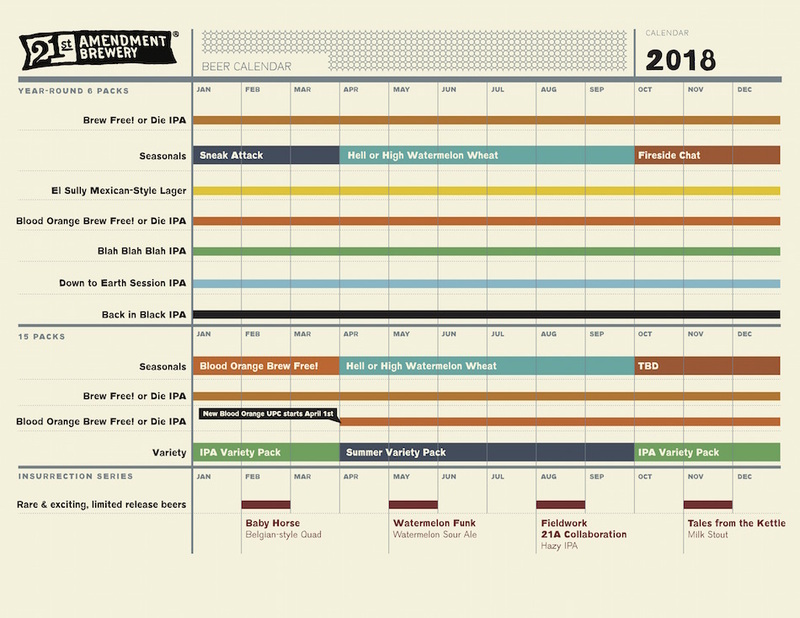 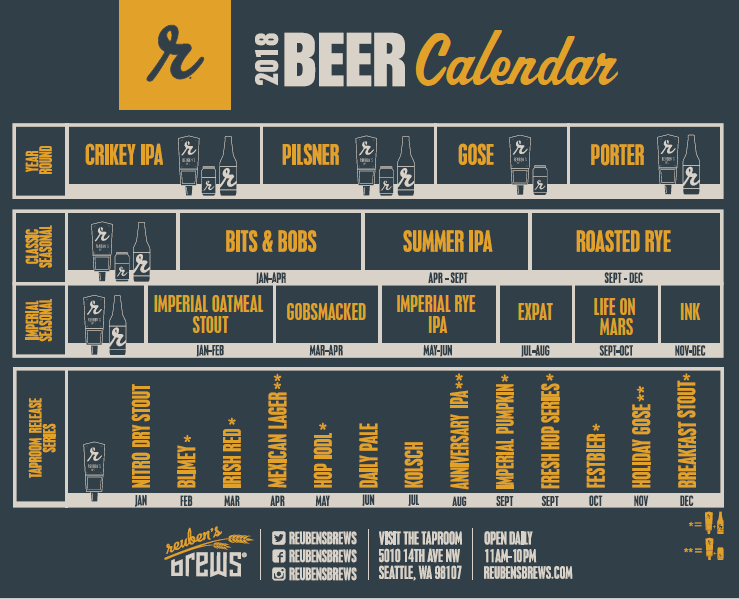 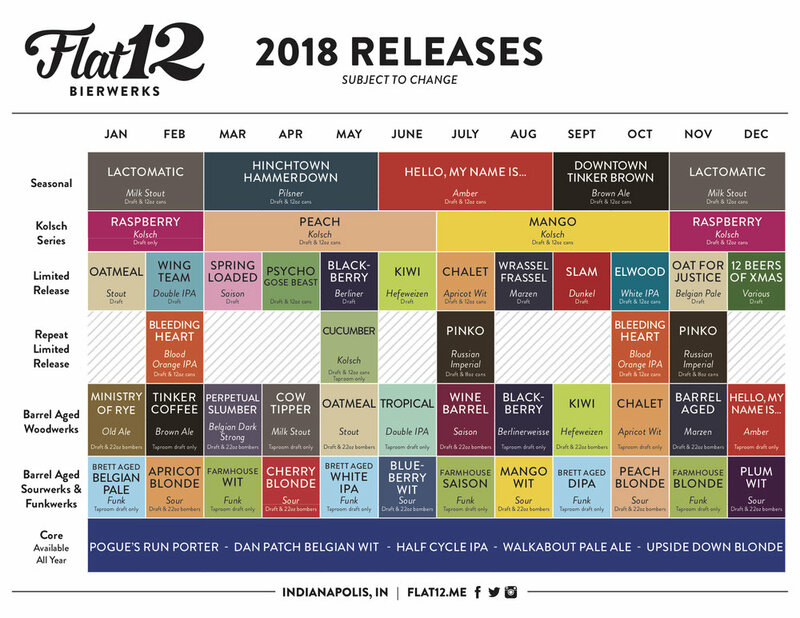 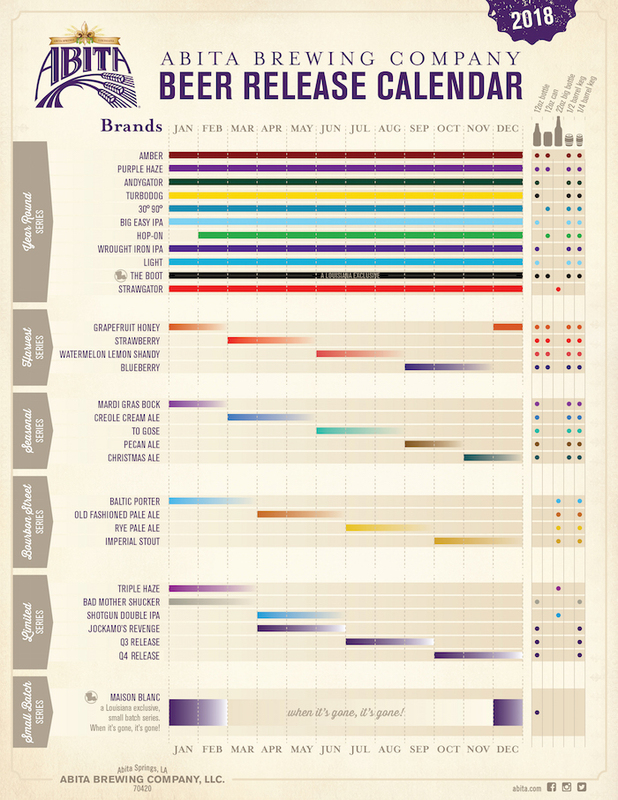 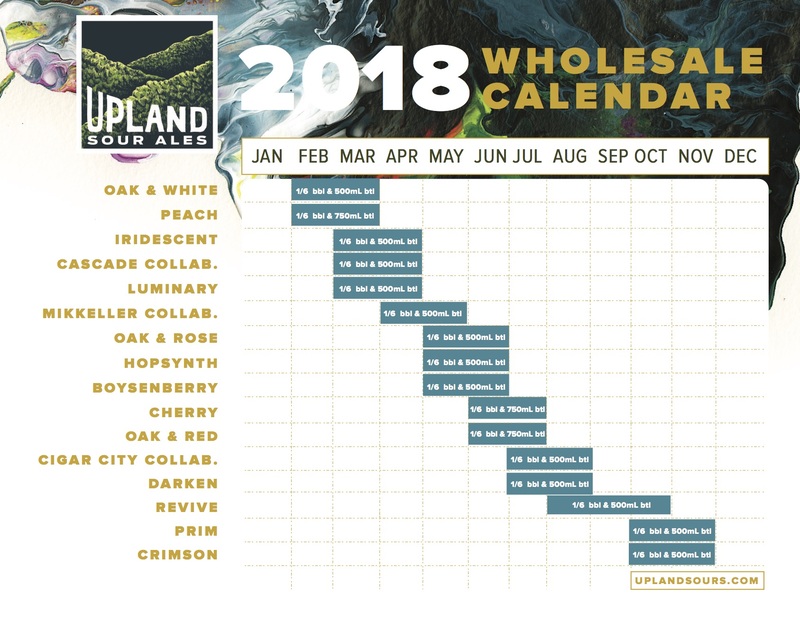 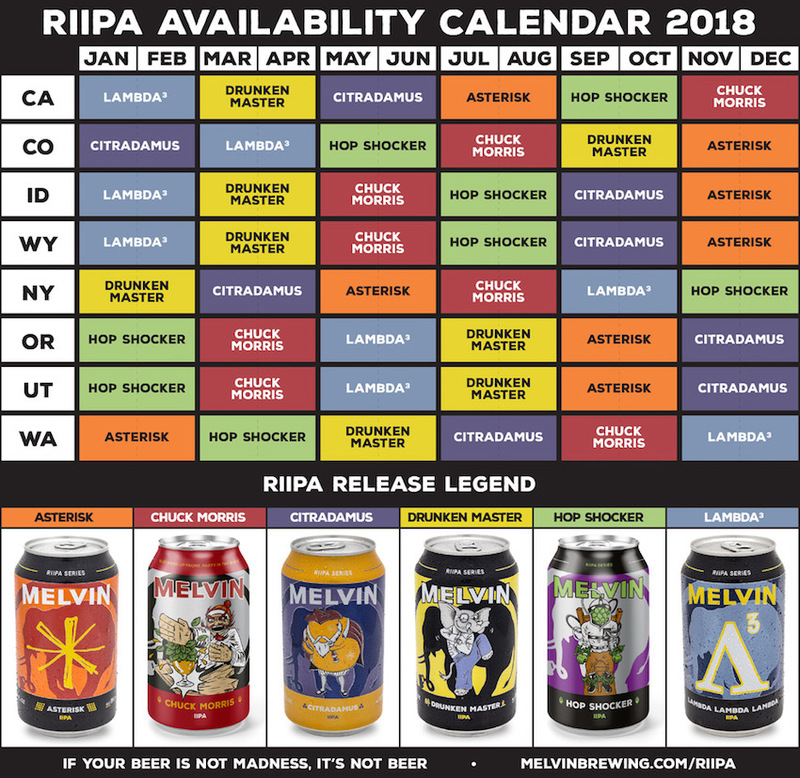 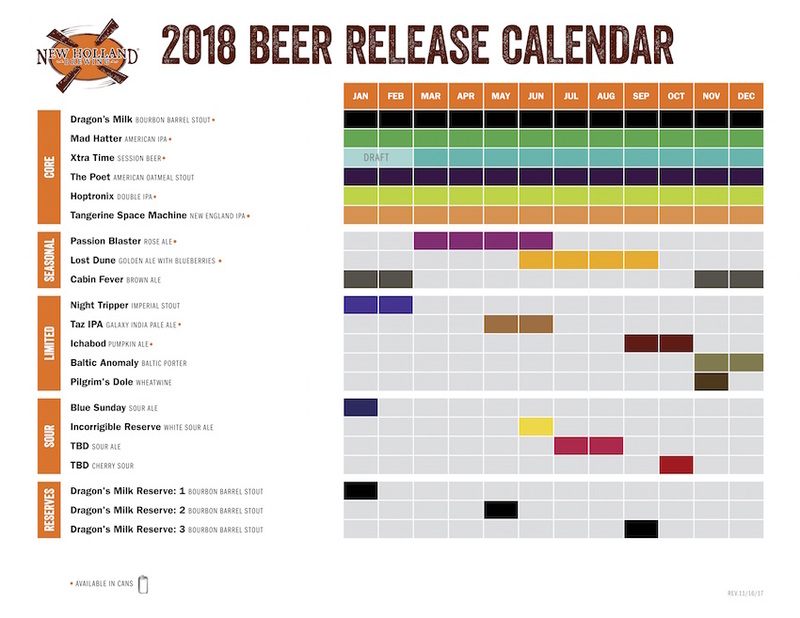 For the past four years, we’ve helped compile a roundup of beer release calendars featuring some of your favorite breweries from around the country. 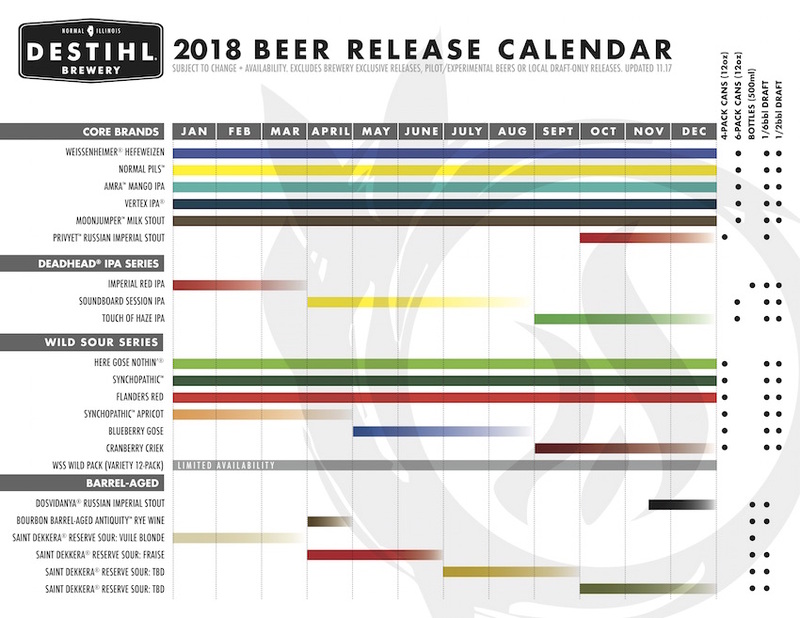 It was another massive year for American beer as we’ve now crested over 6000 active breweries in the U.S. and, believe it or not, 2018 is shaping up to be even bigger. 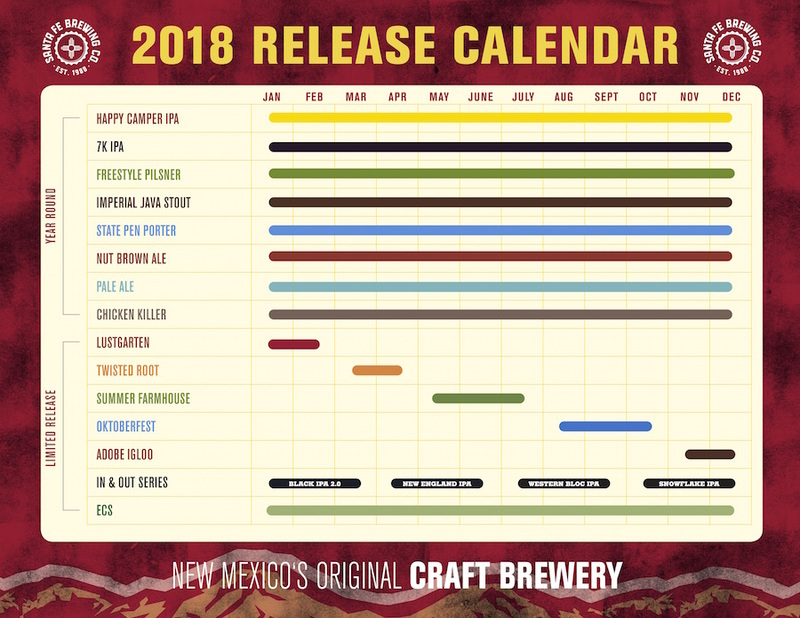 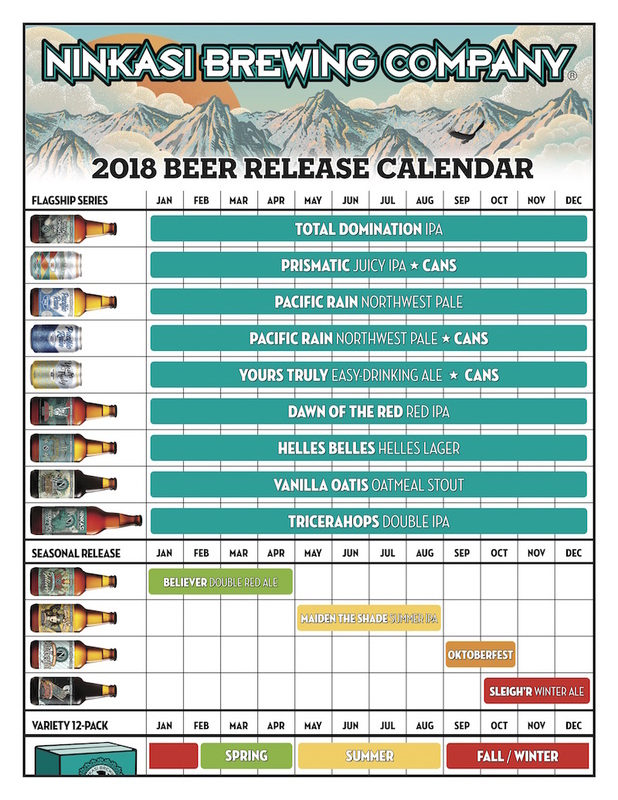 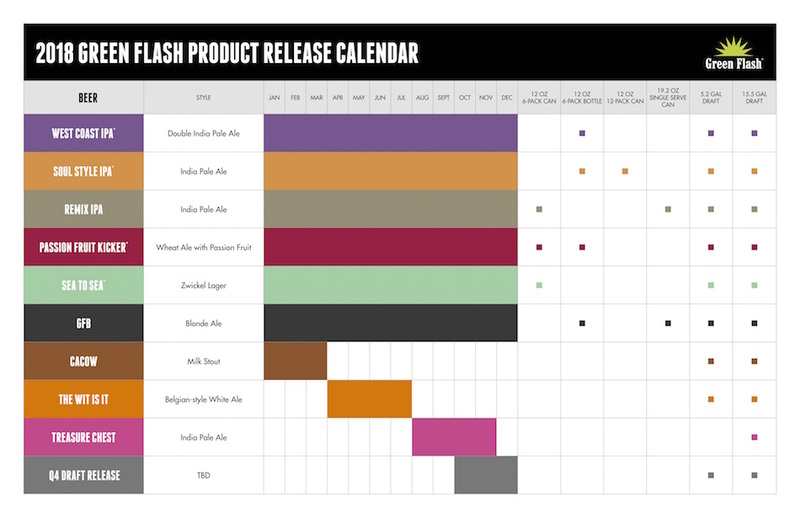 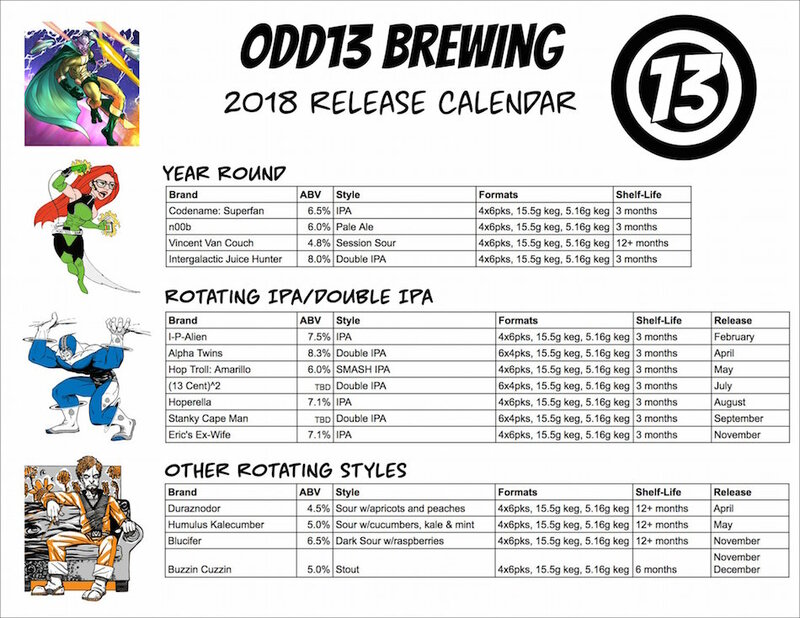 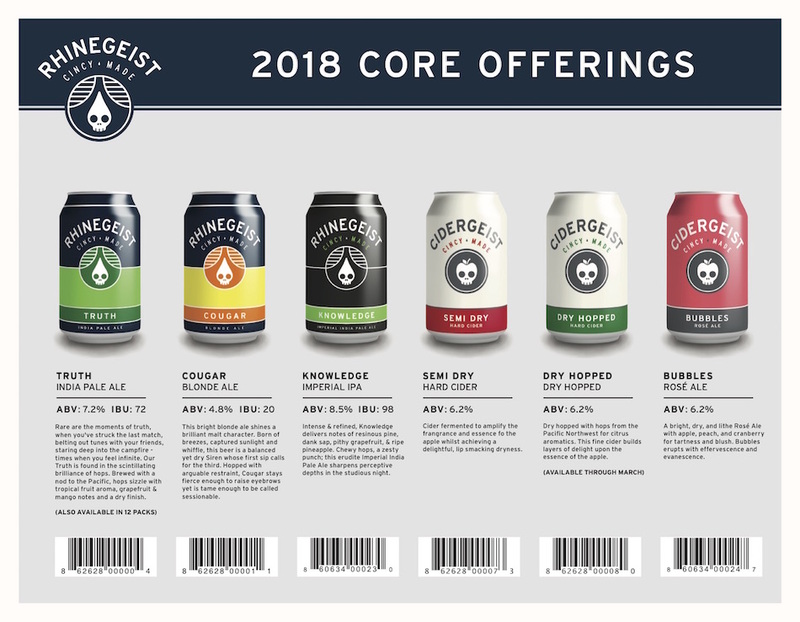 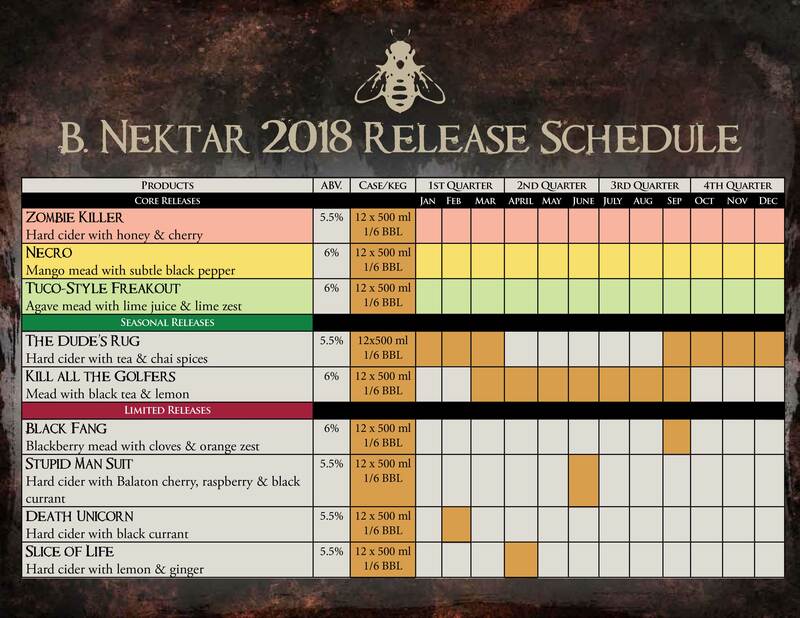 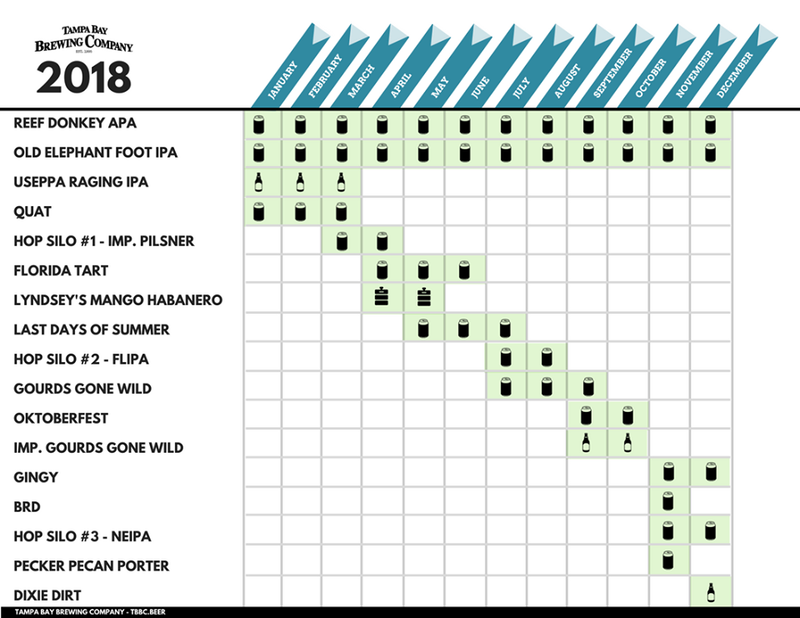 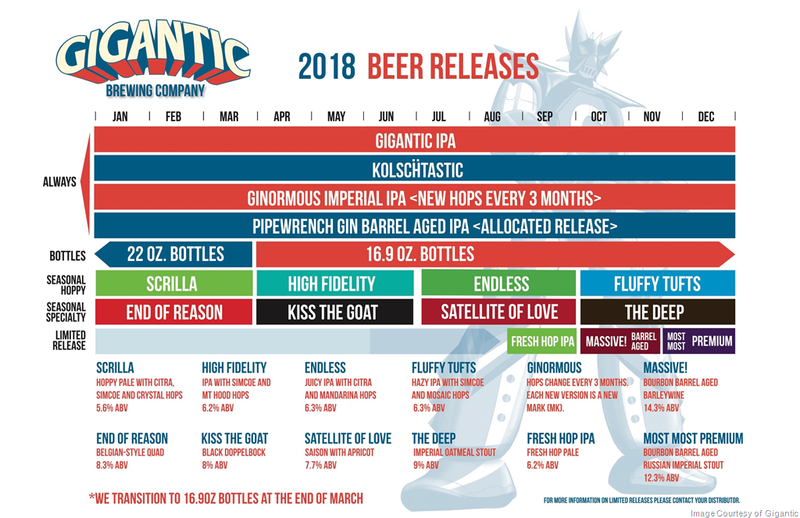 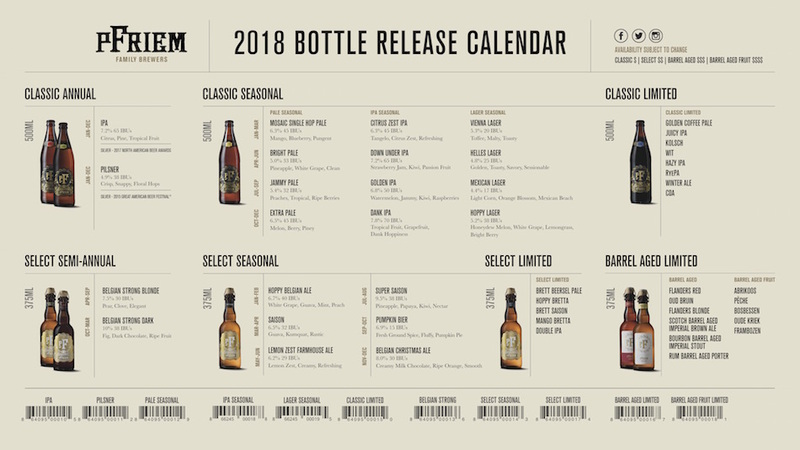 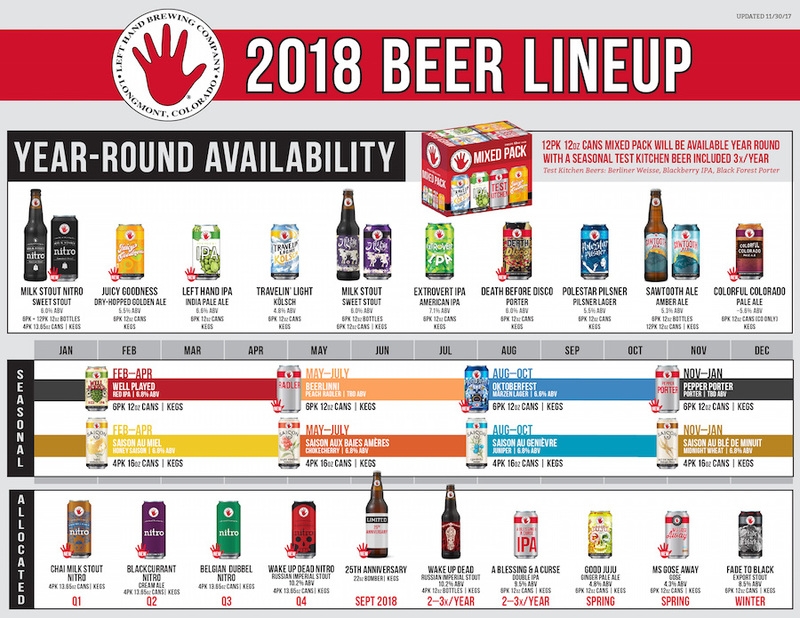 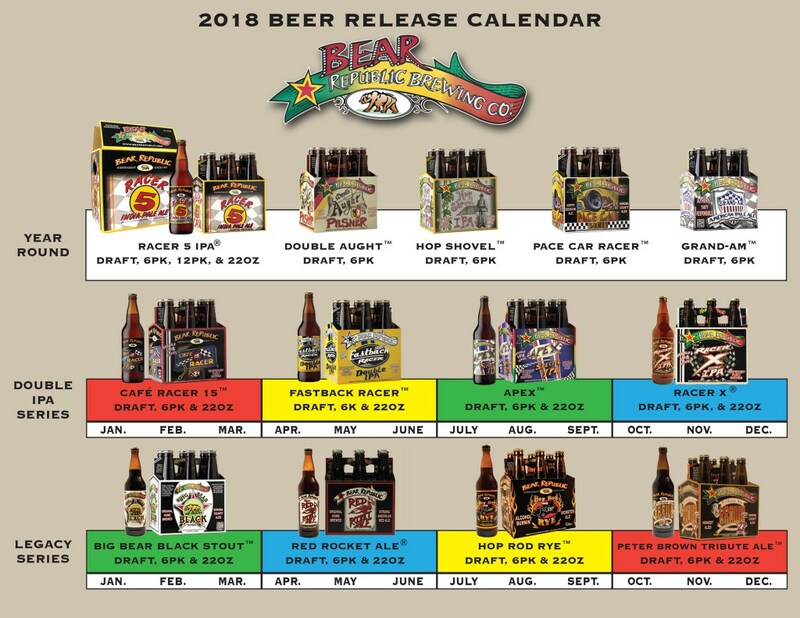 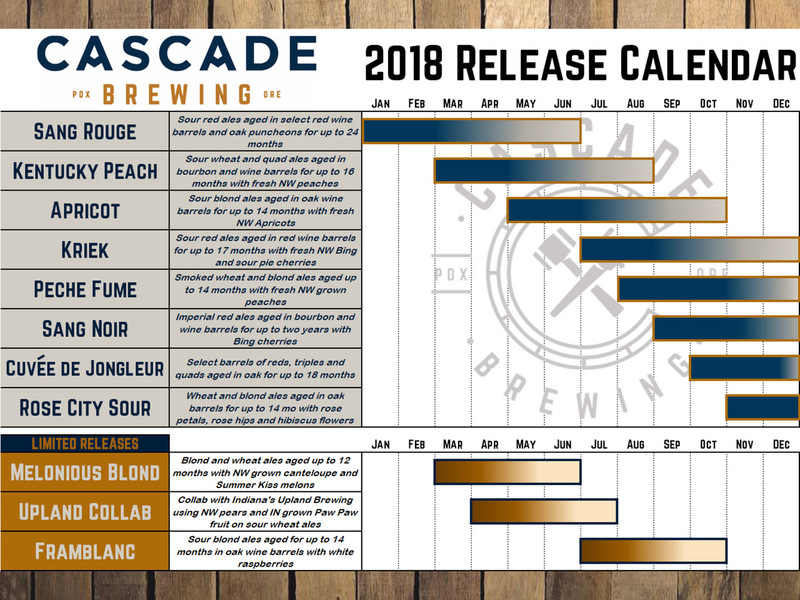 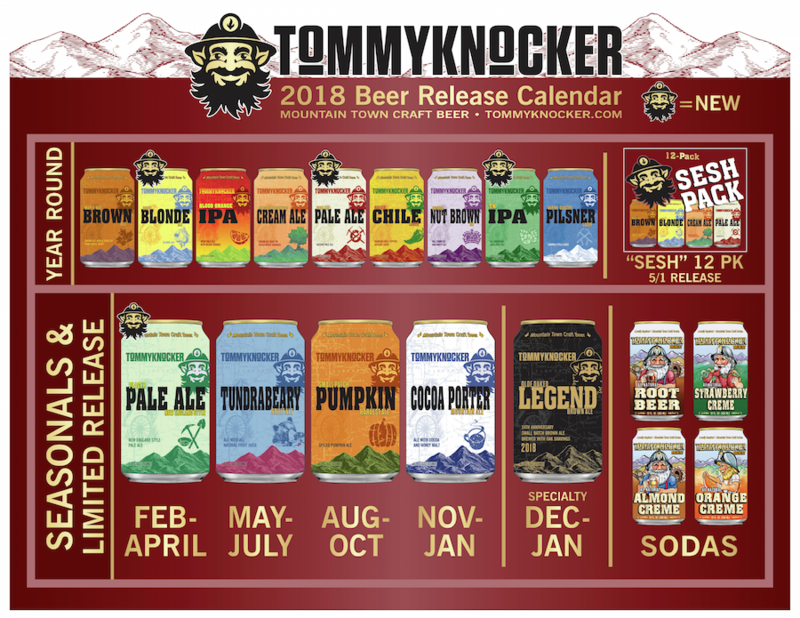 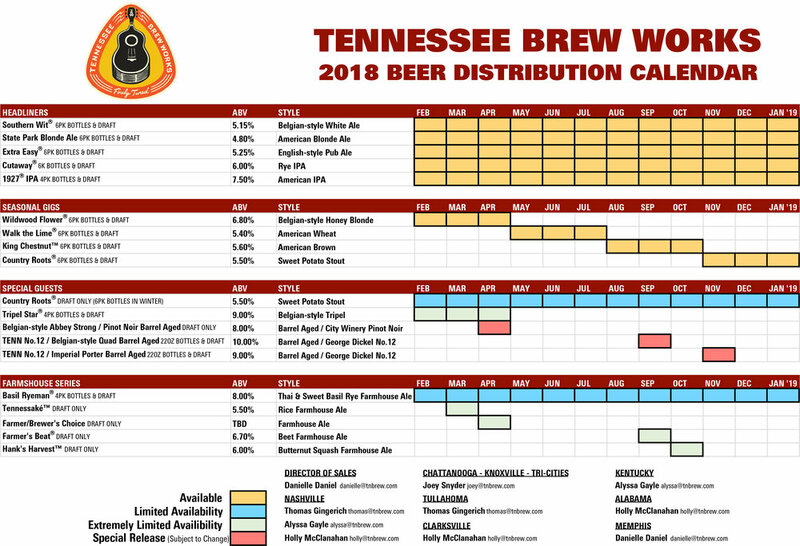 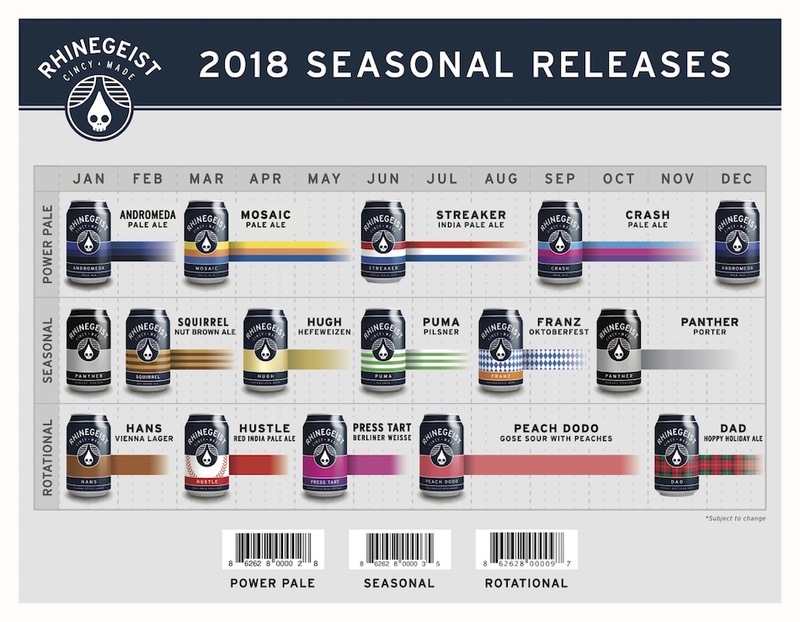 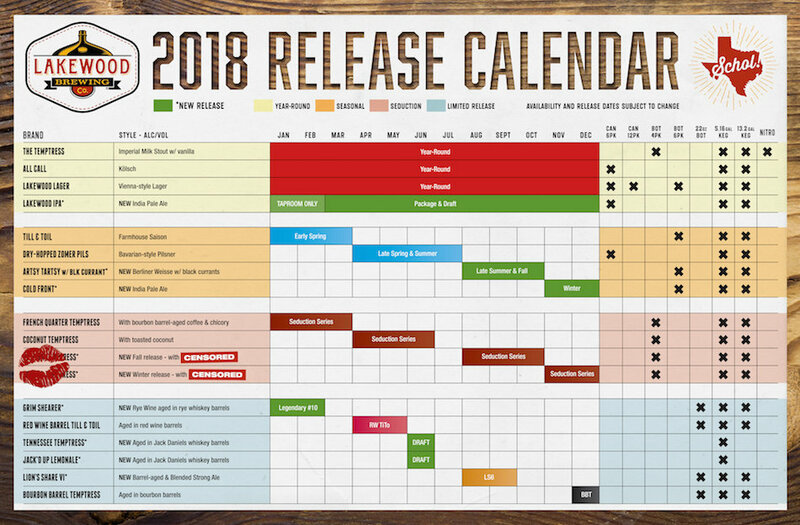 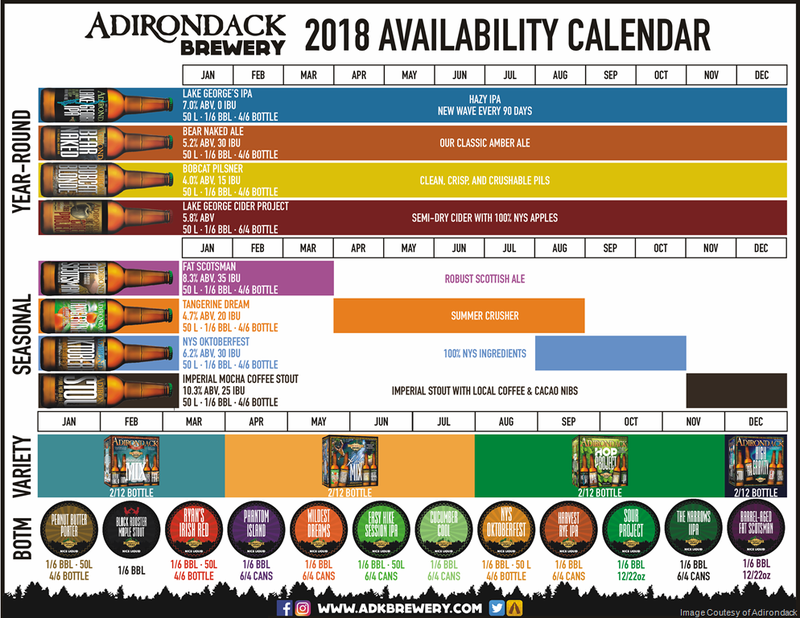 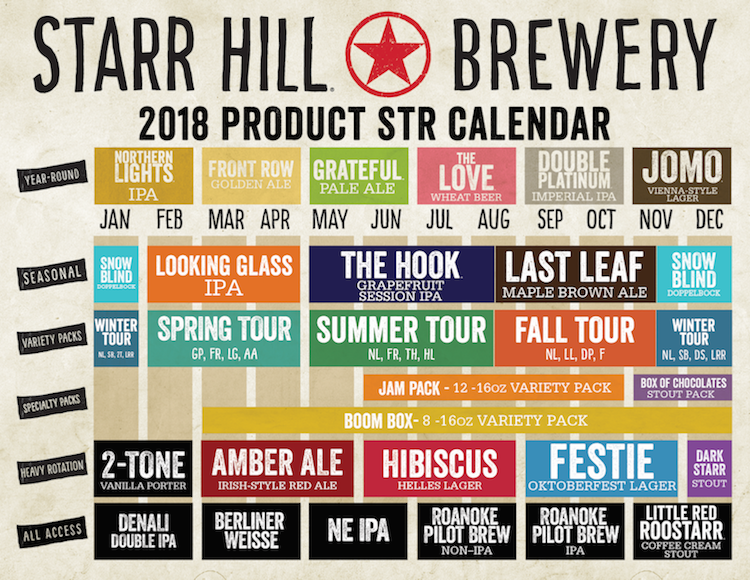 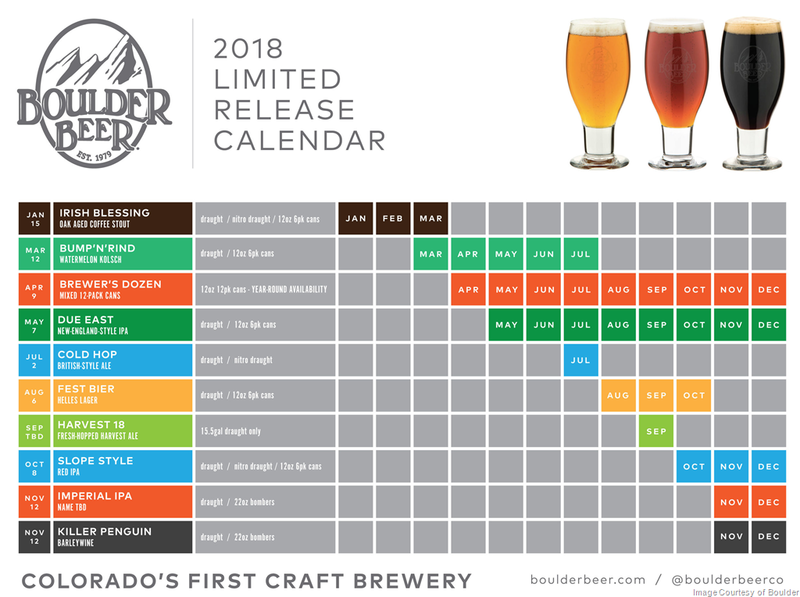 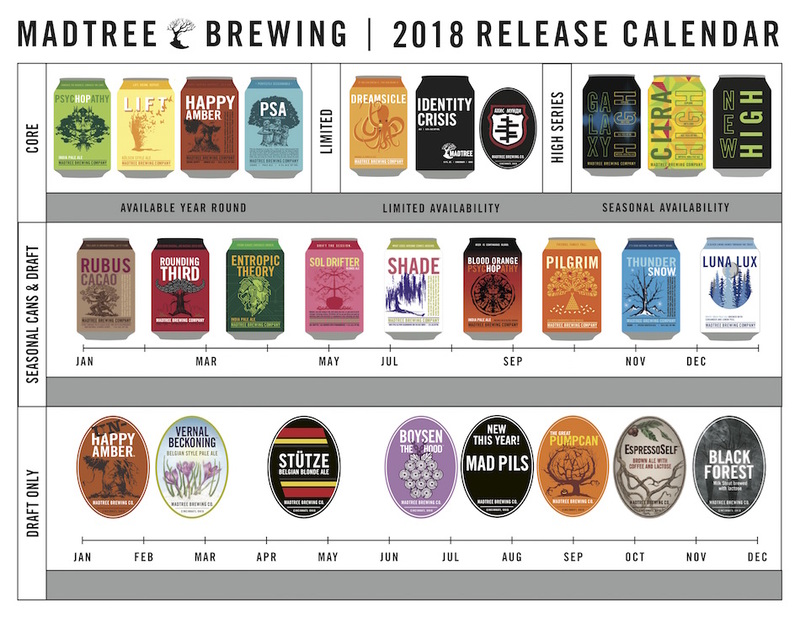 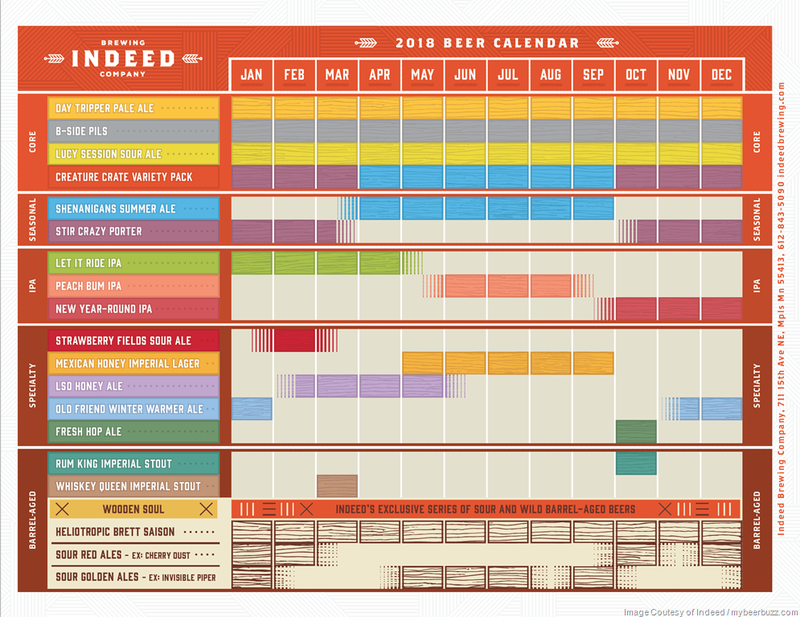 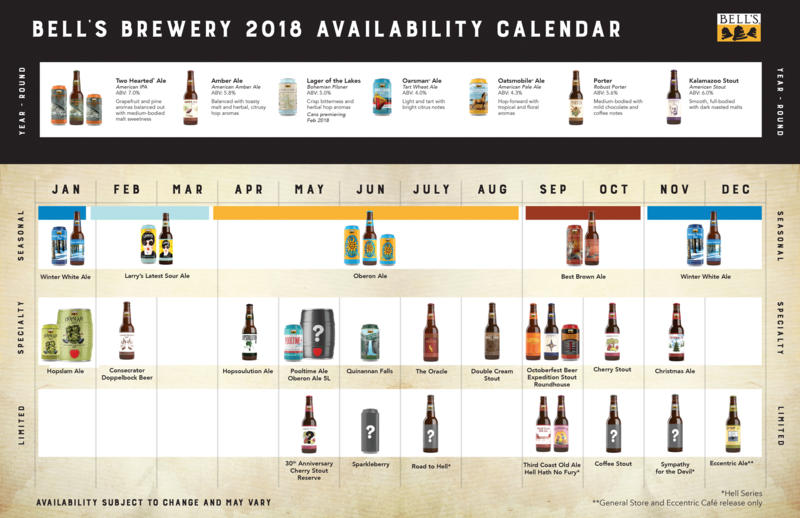 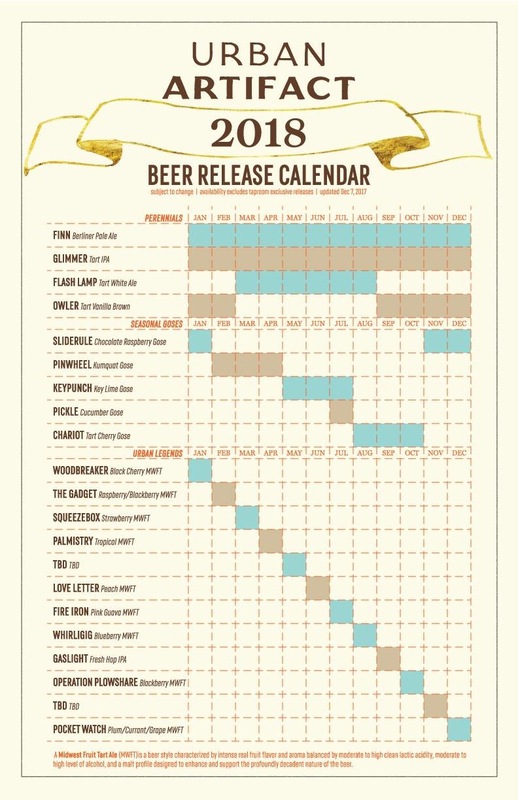 To help get you get excited about the new brews coming out this year, we bring you the 2018 Beer Release Calendar roundup. 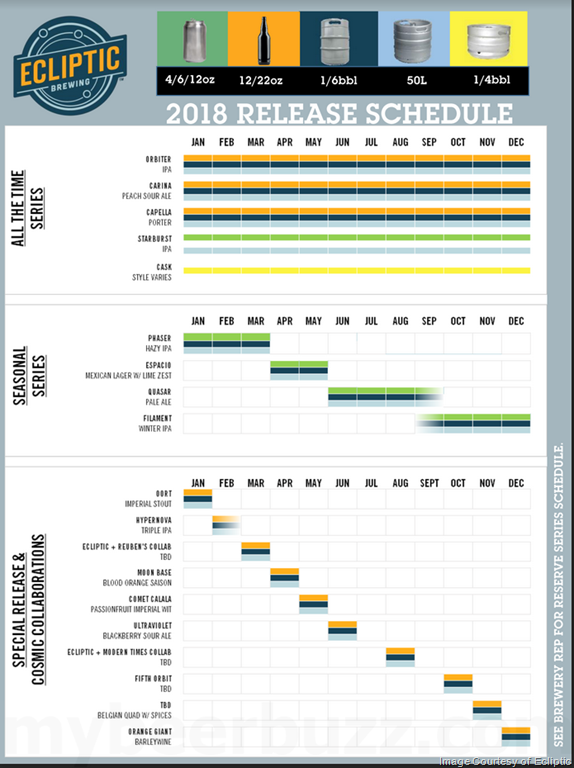 Please keep in mind that these are merely a framework for anticipated releases. 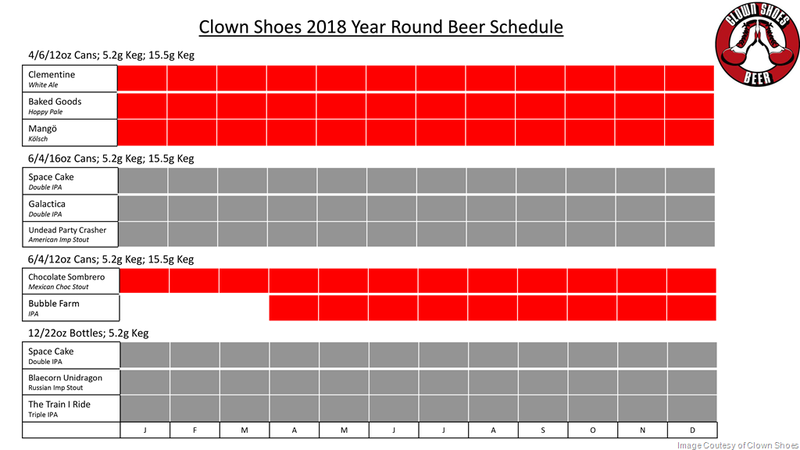 All dates and beers are subject to change. 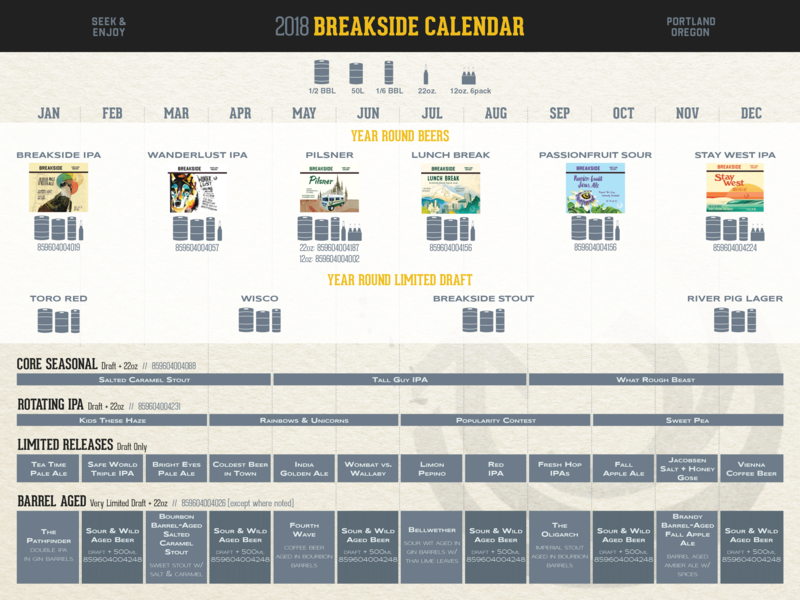 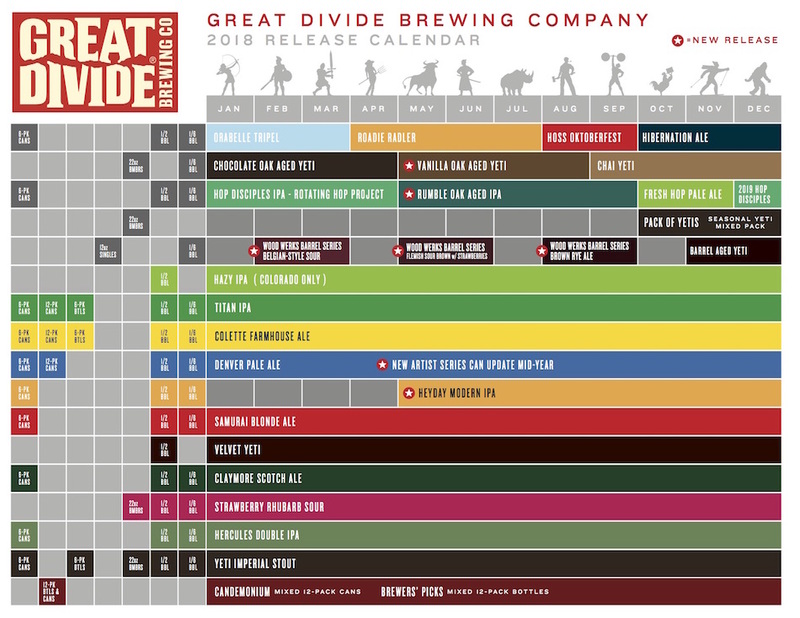 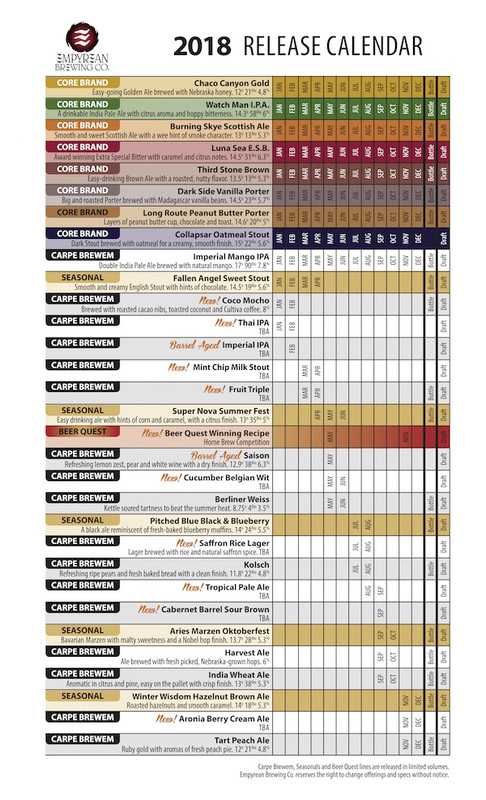 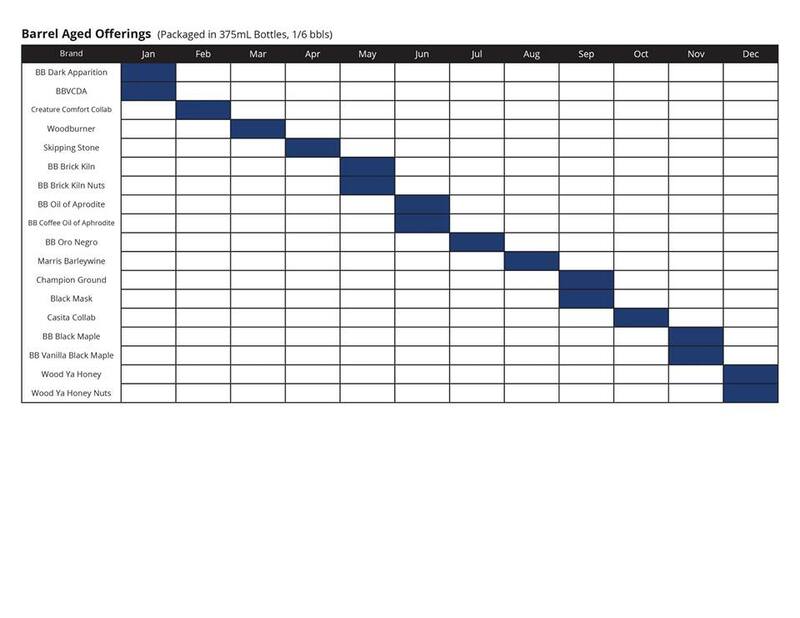 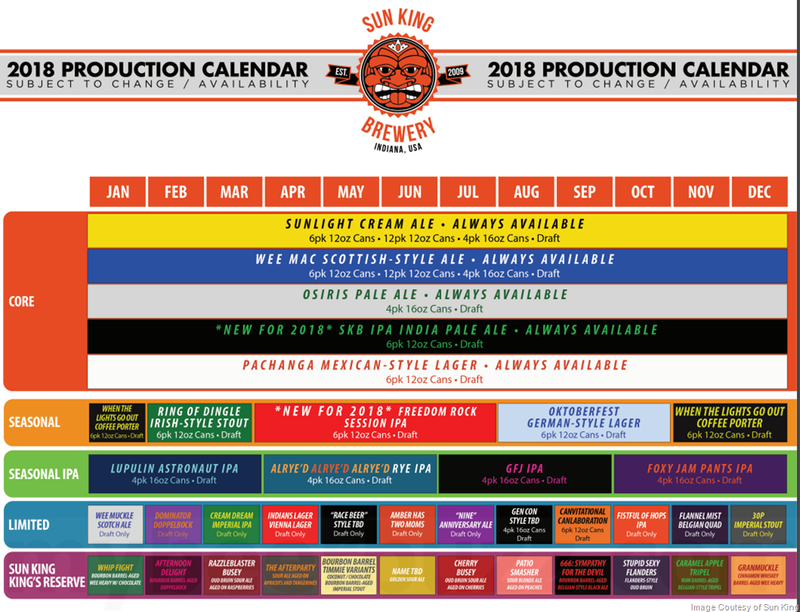 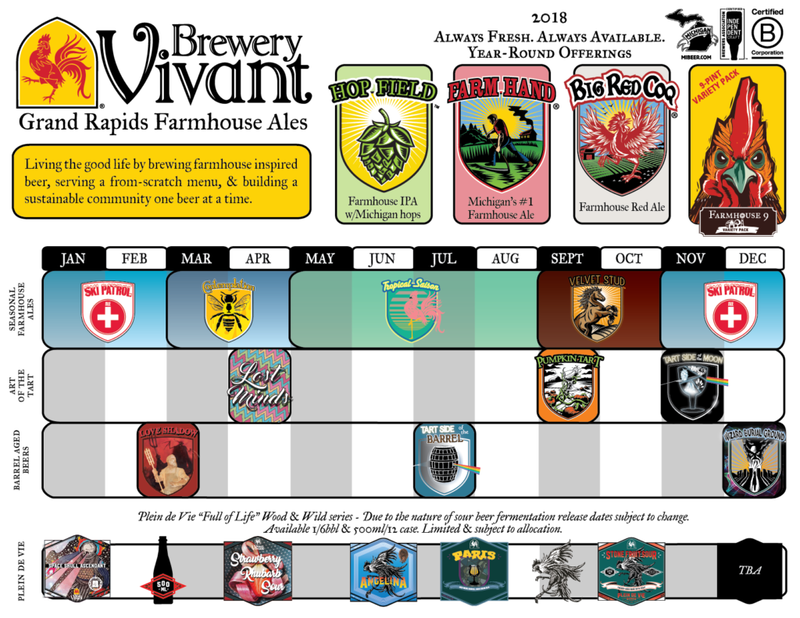 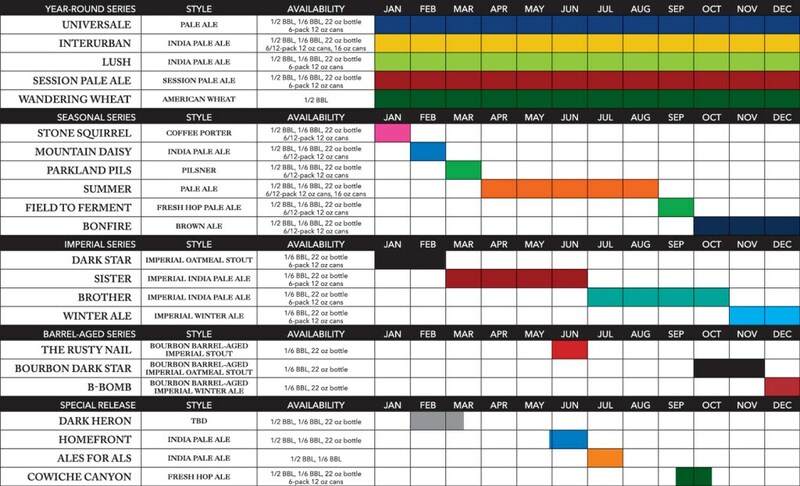 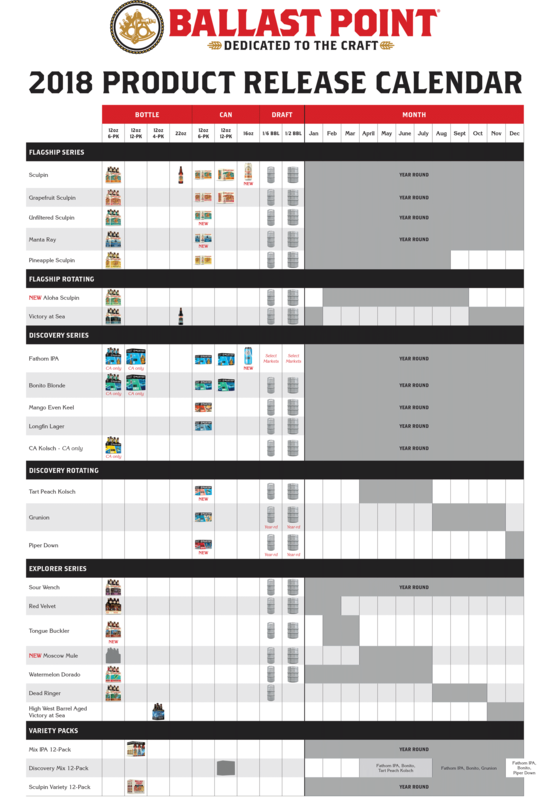 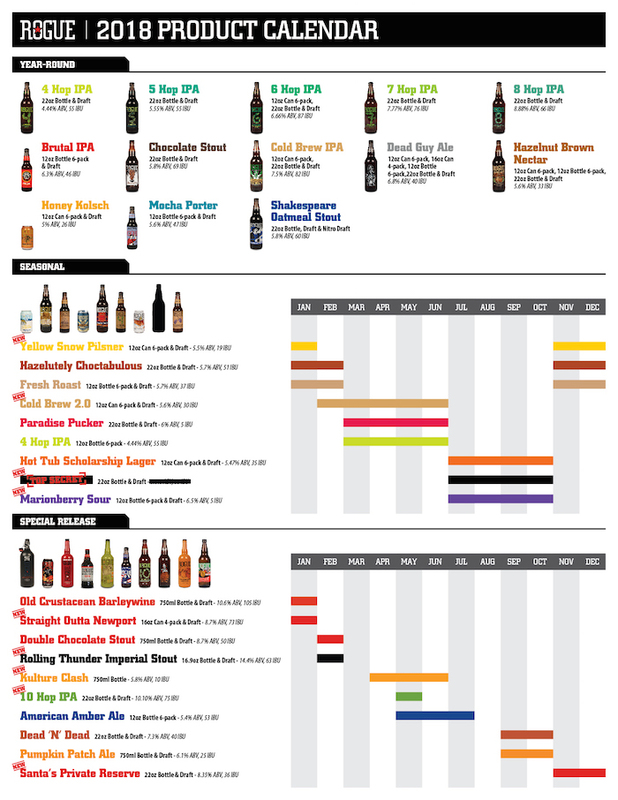 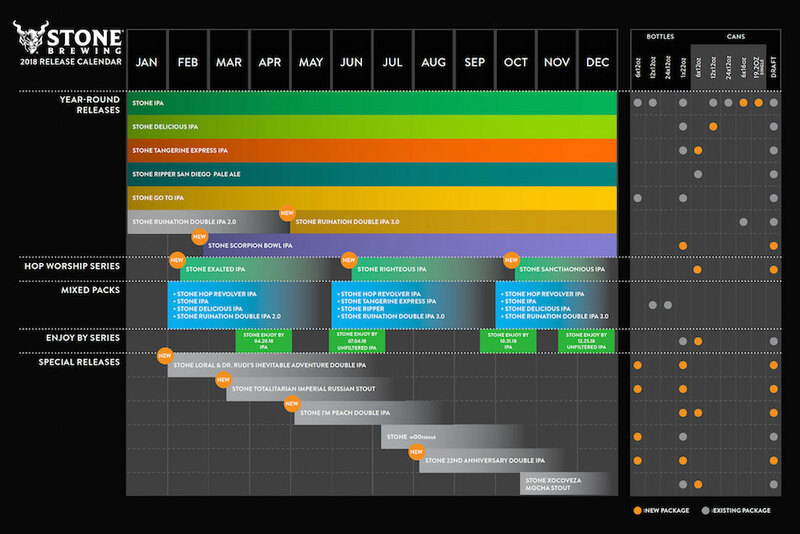 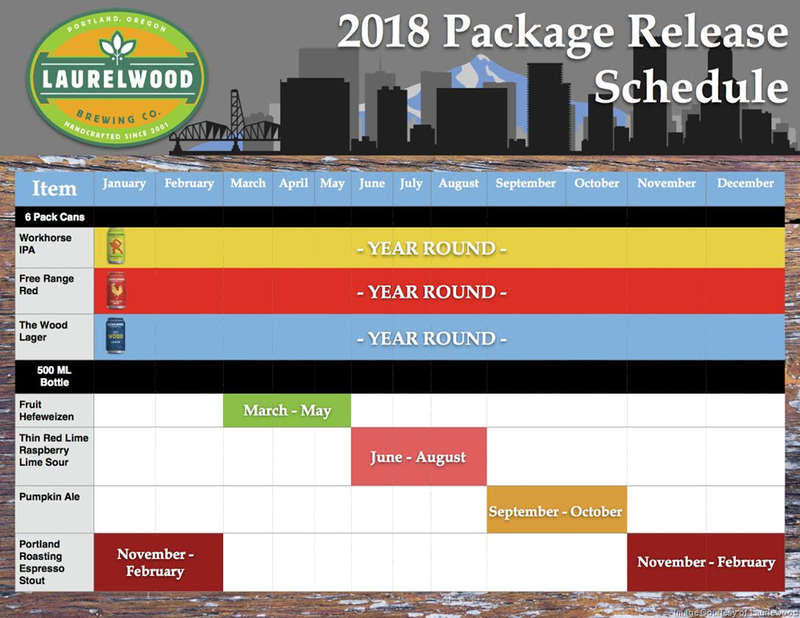 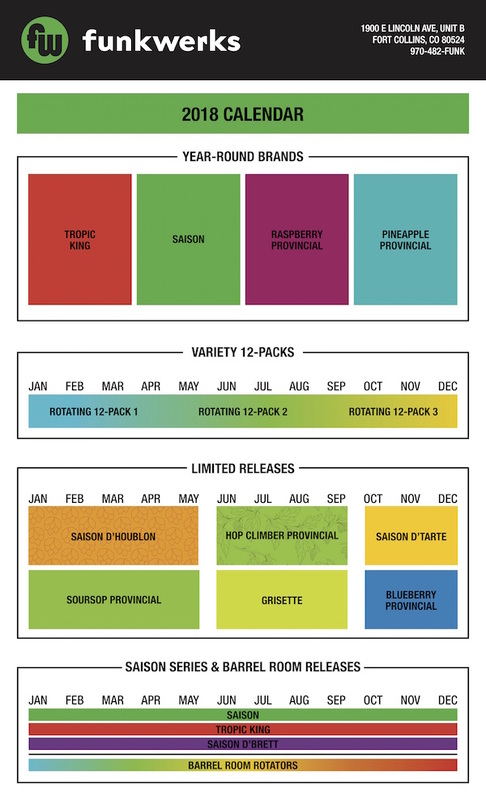 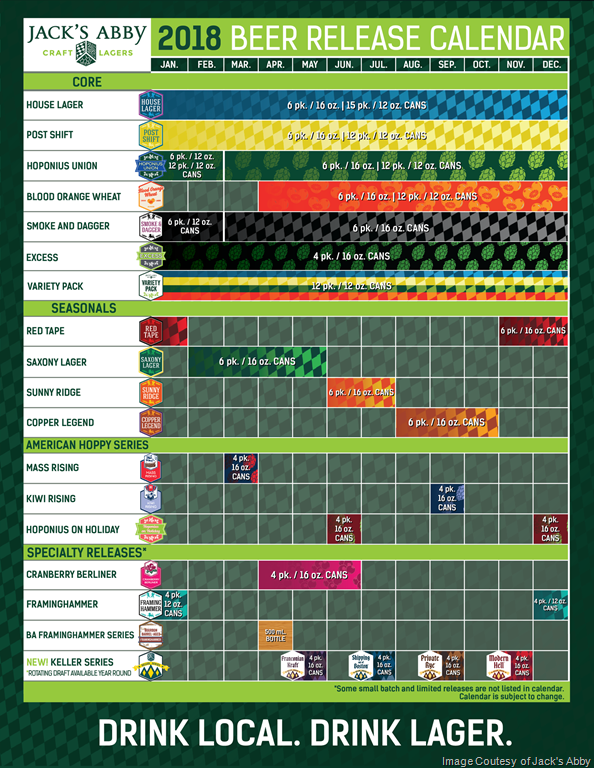 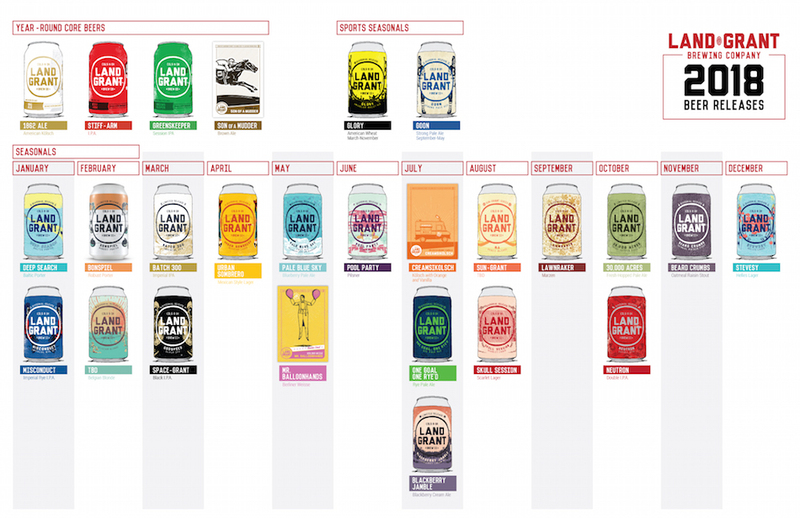 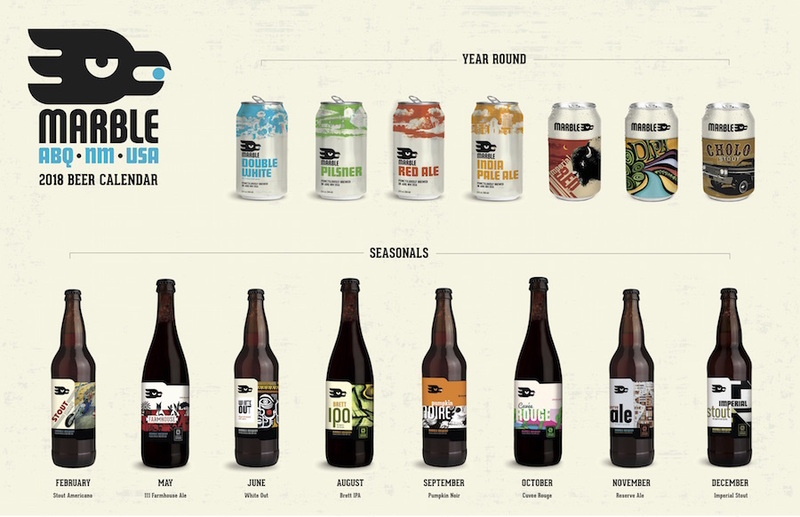 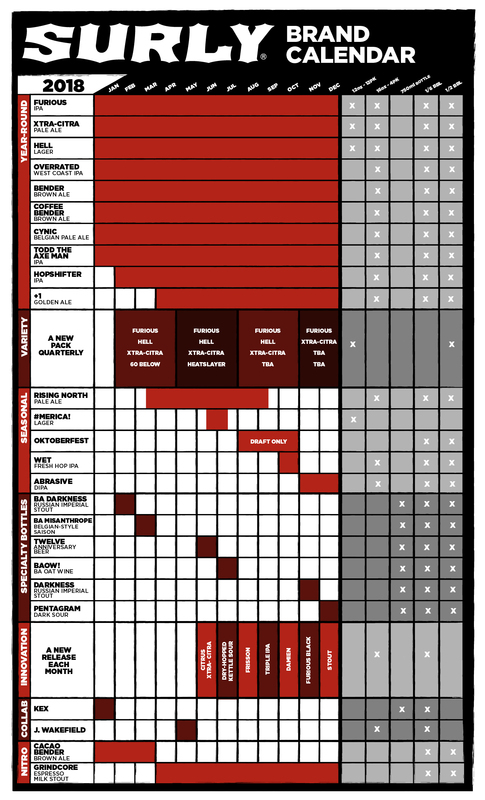 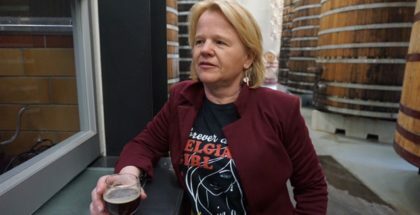 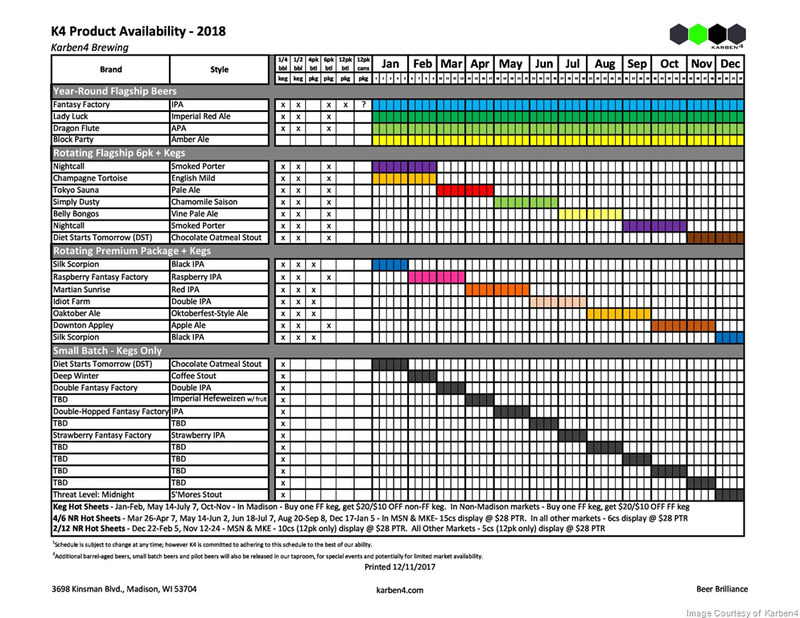 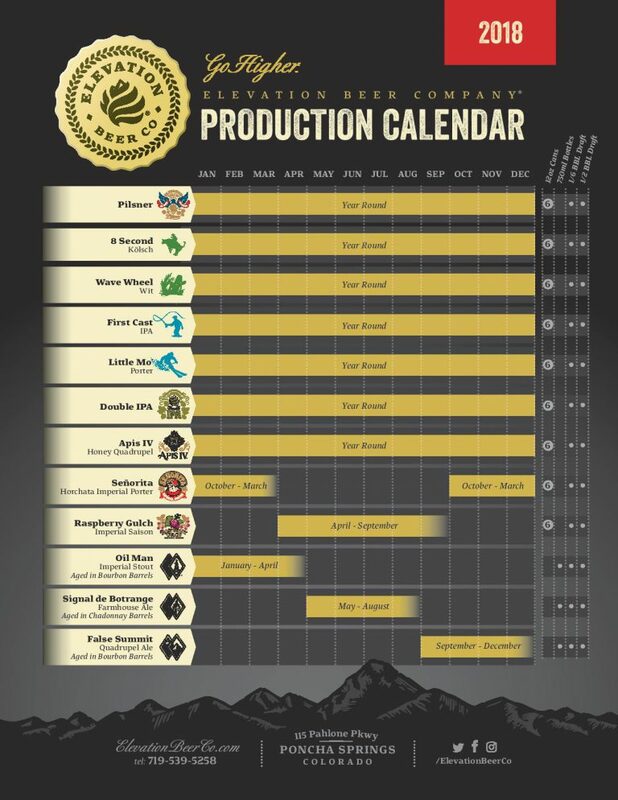 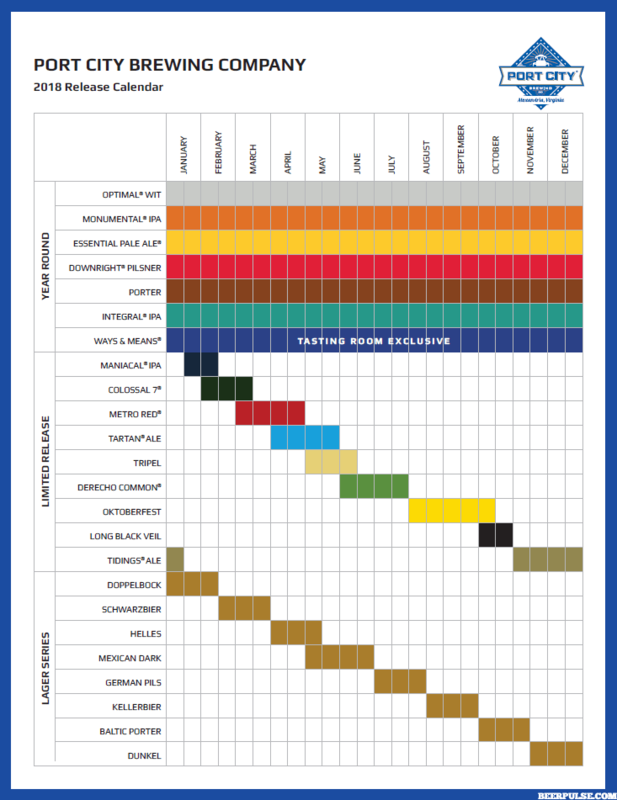 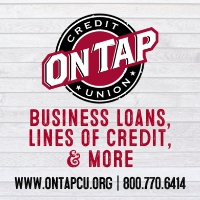 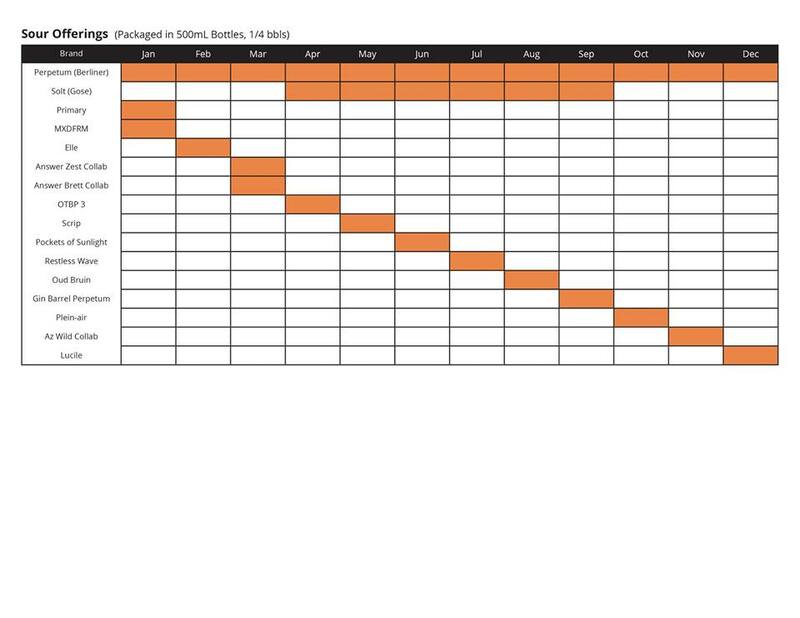 Breweries often end up producing these as a framework for their yearly production schedule, but will often adapt accordingly throughout the year. 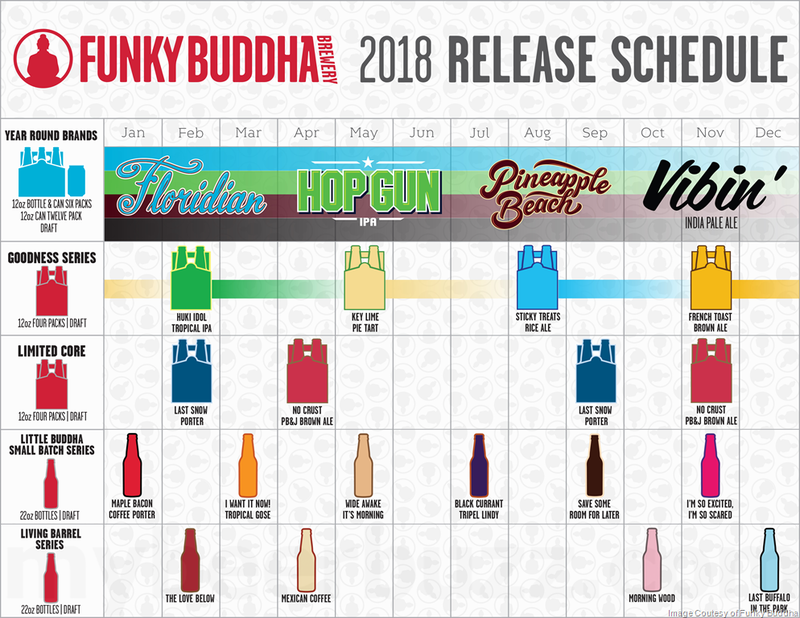 We’ll keep updating this list as we receive more release details. 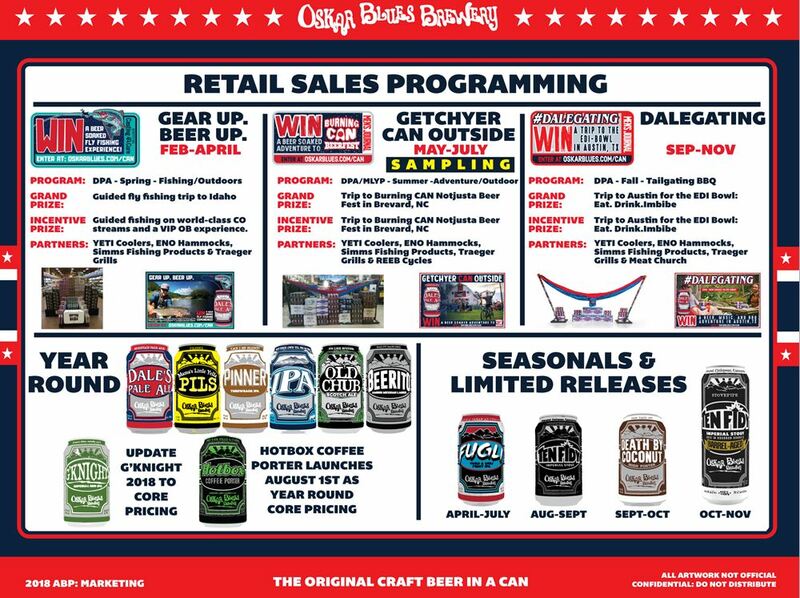 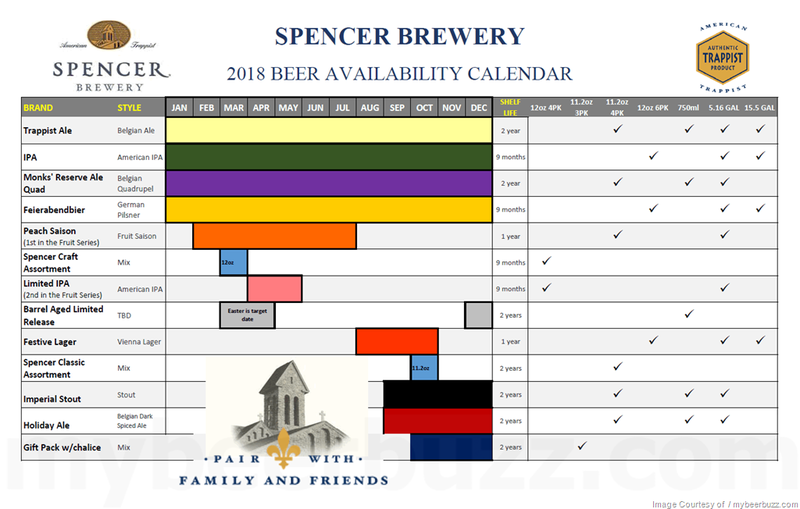 Many breweries we’ve contacted are still in the final stages of finalizing their calendars so we’ll add those as soon as we receive them. 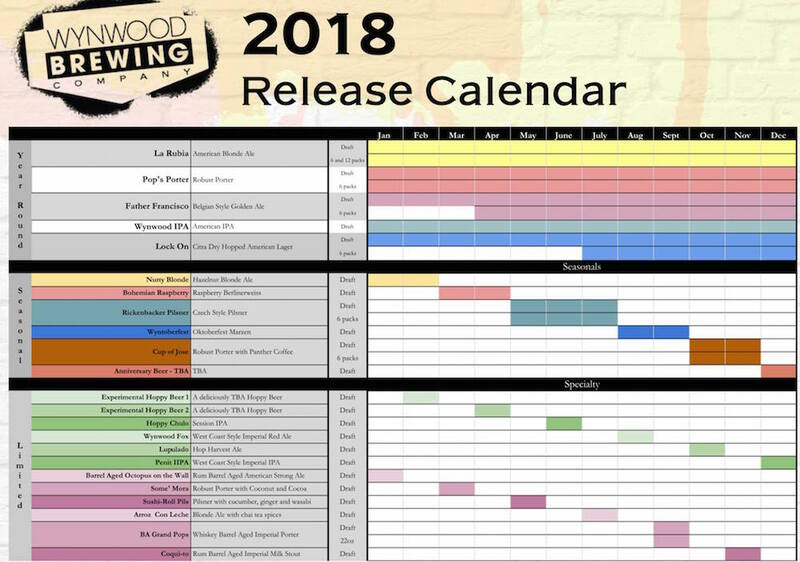 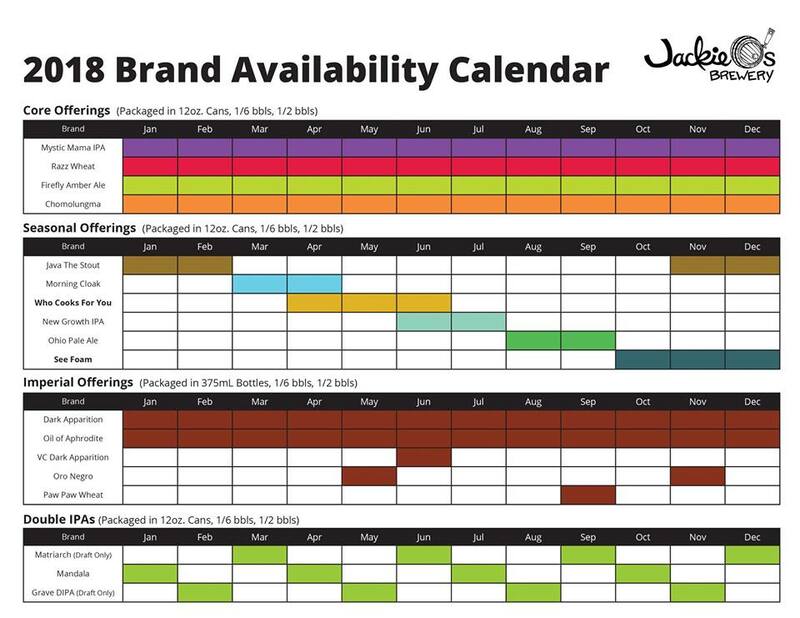 If your brewery isn’t listed and you’d like to share your release calendar, please reach out to us via [email protected] and we’d love to add you to the list! 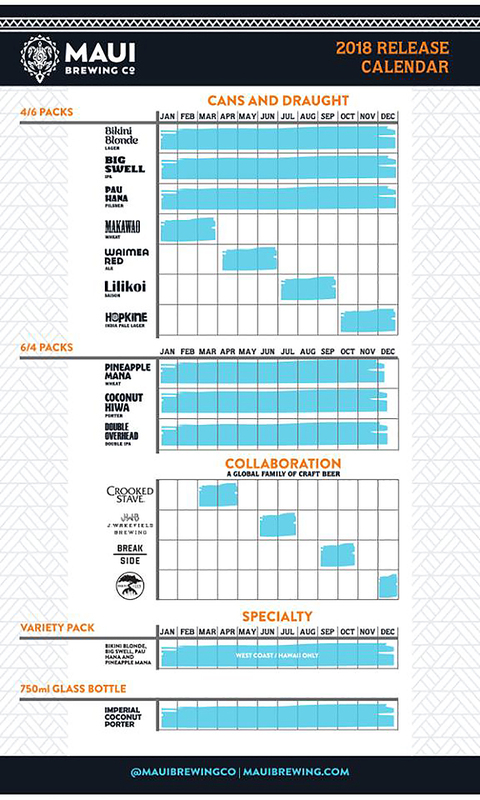 Just remember, sharing is caring! 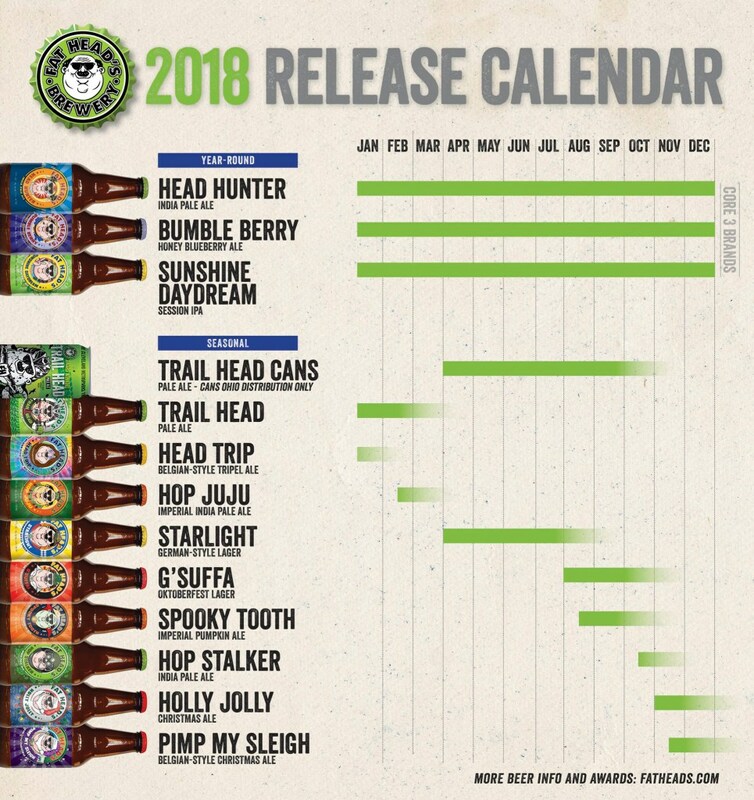 Tag a friend who loves beer releases as much as you! 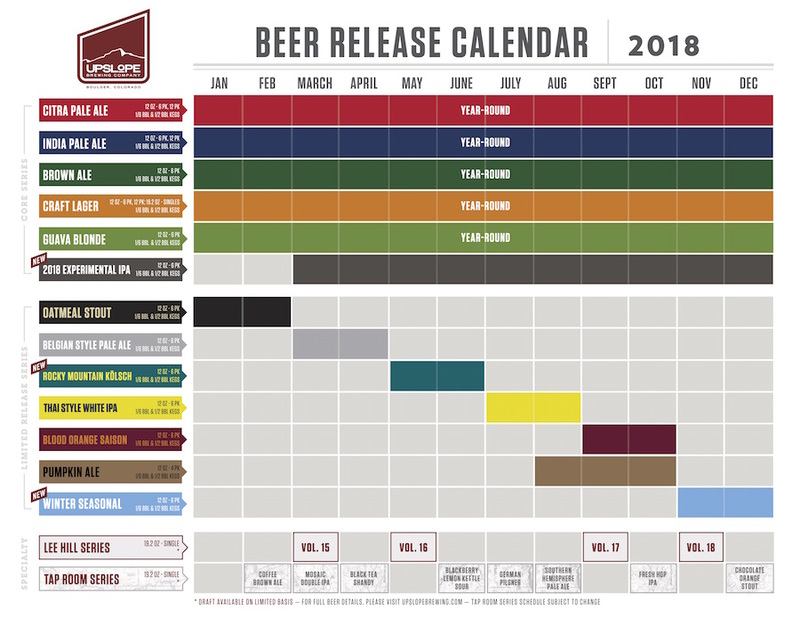 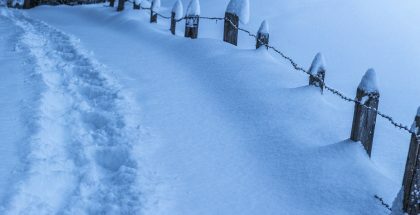 Stay up on future releases, and the latest industry news, by subscribing to PorchDrinking’s Newsletter on the right hand side of the page. 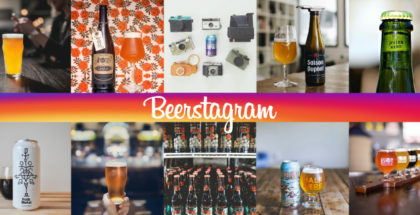 And be sure follow us on Twitter/Instagram at @PorchDrinkingCO or on Facebook. 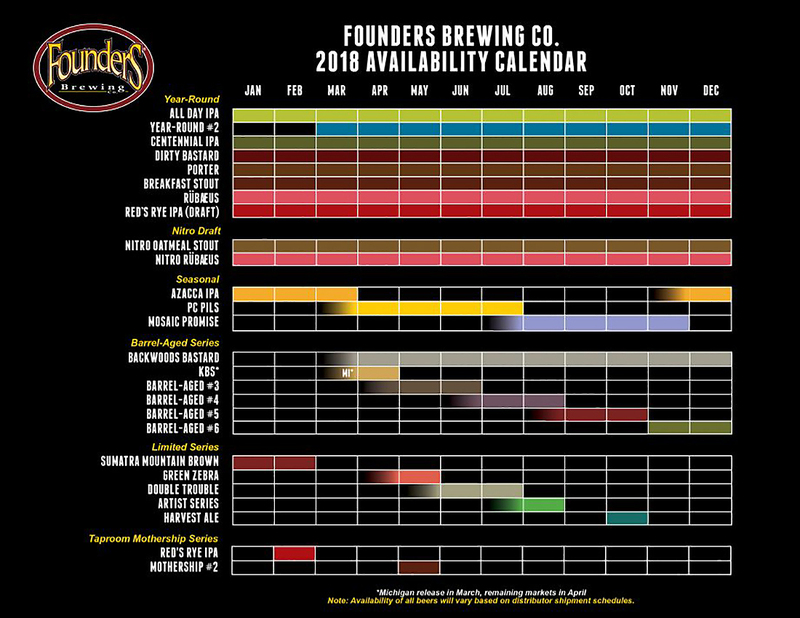 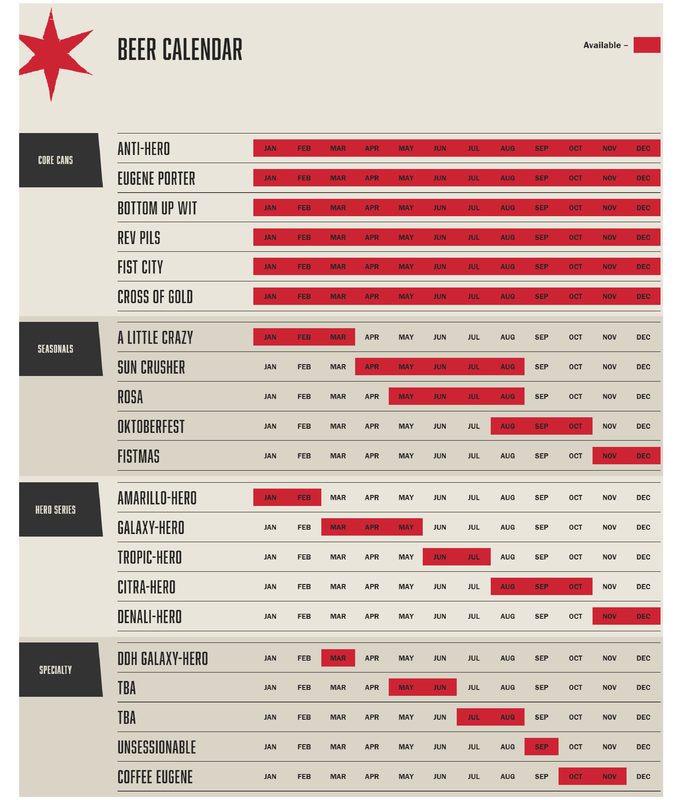 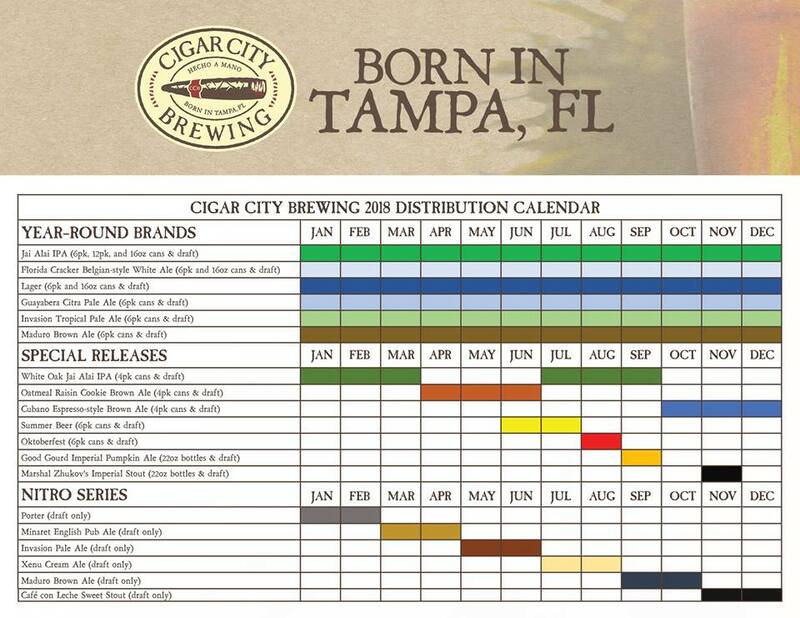 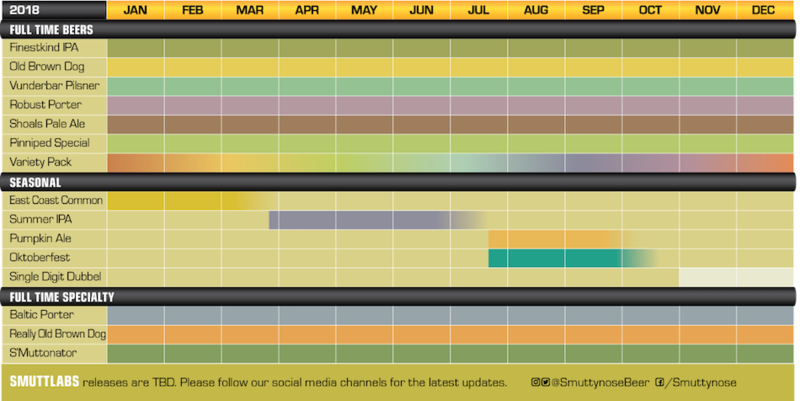 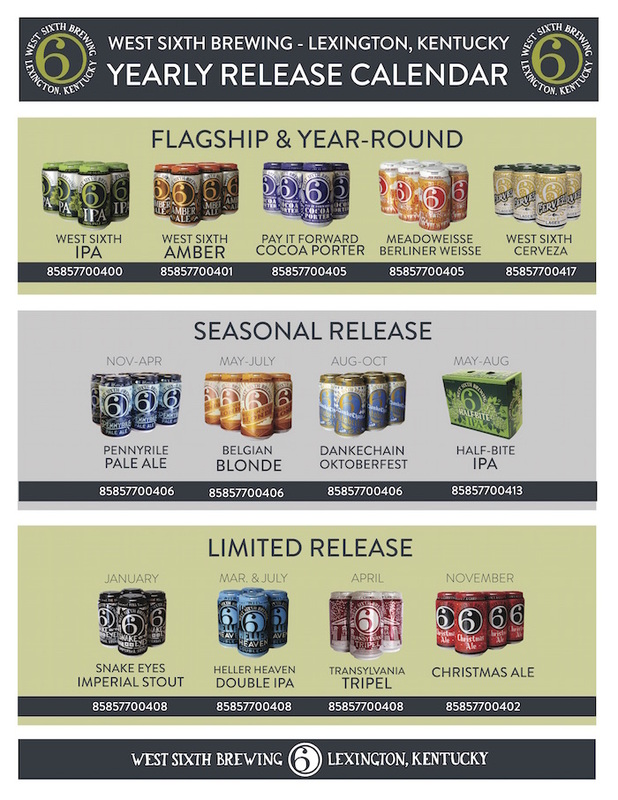 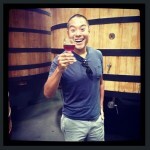 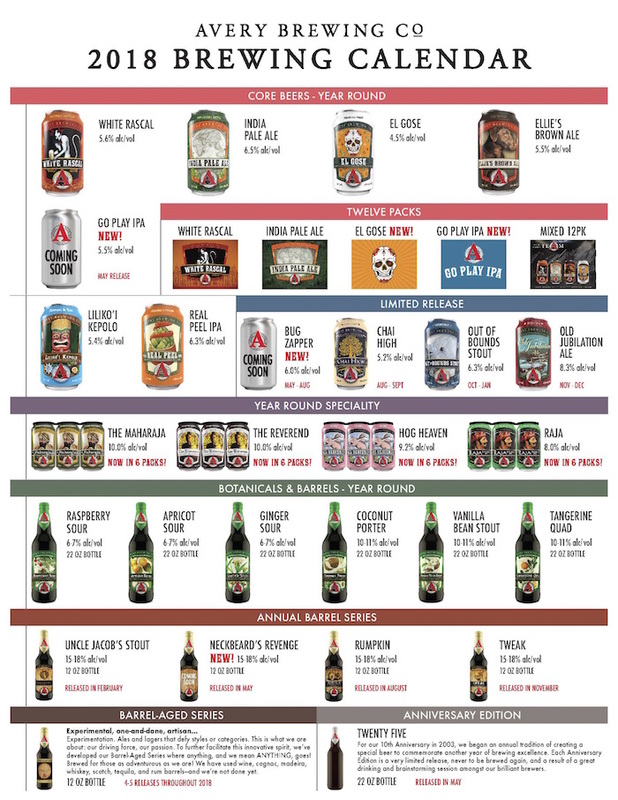 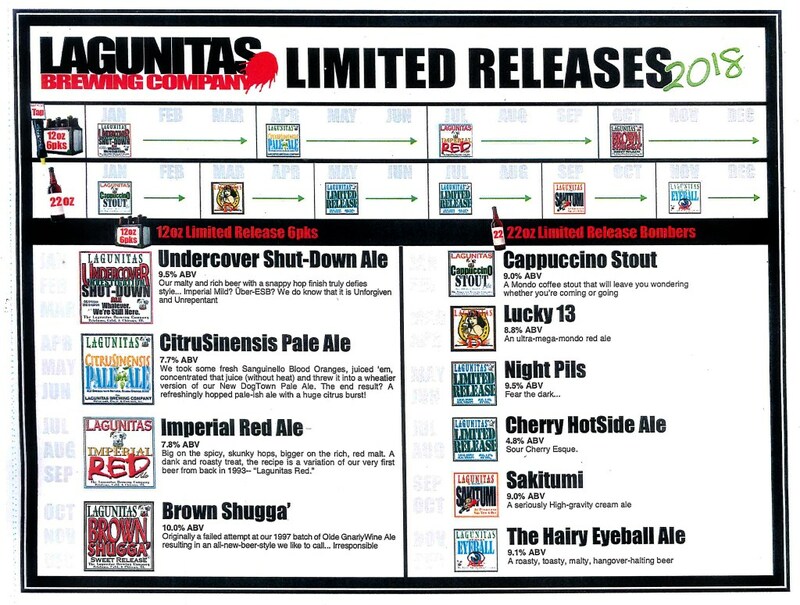 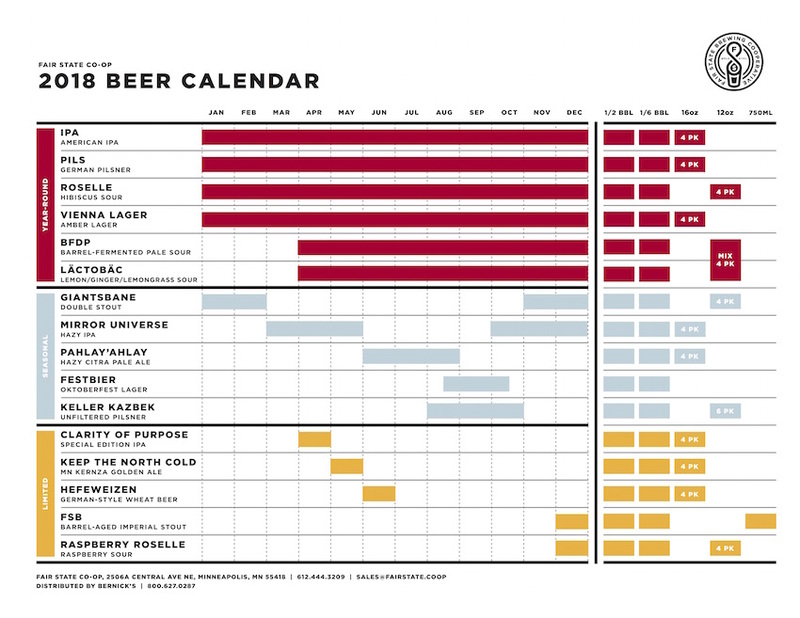 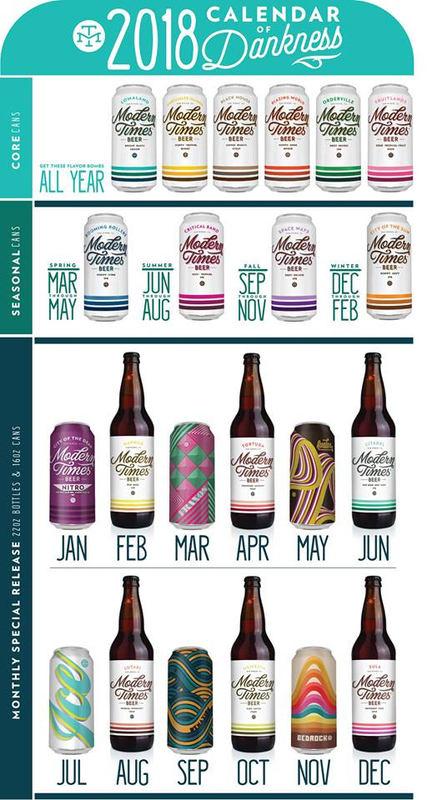 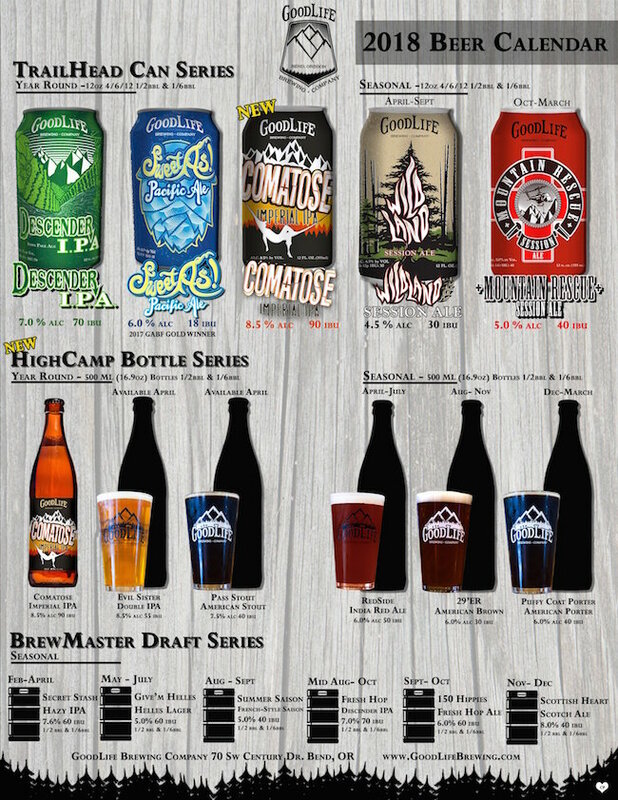 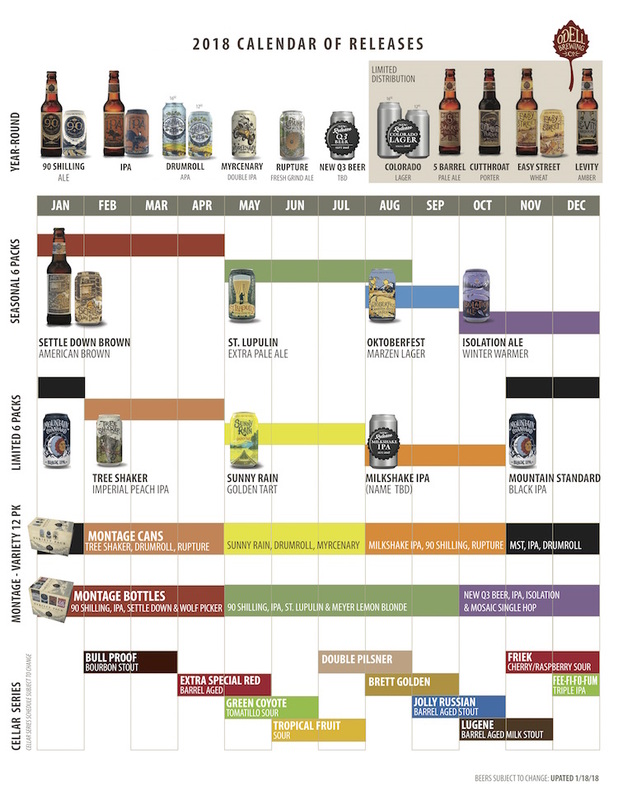 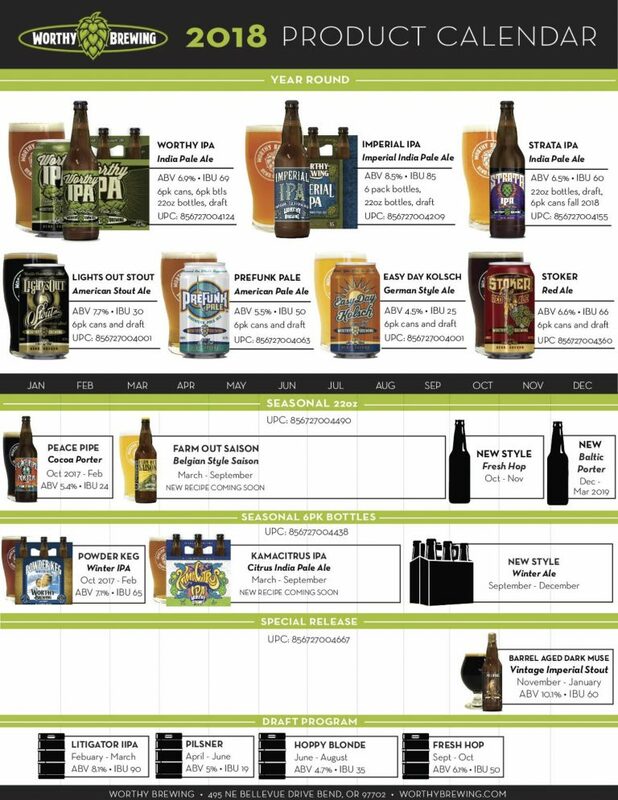 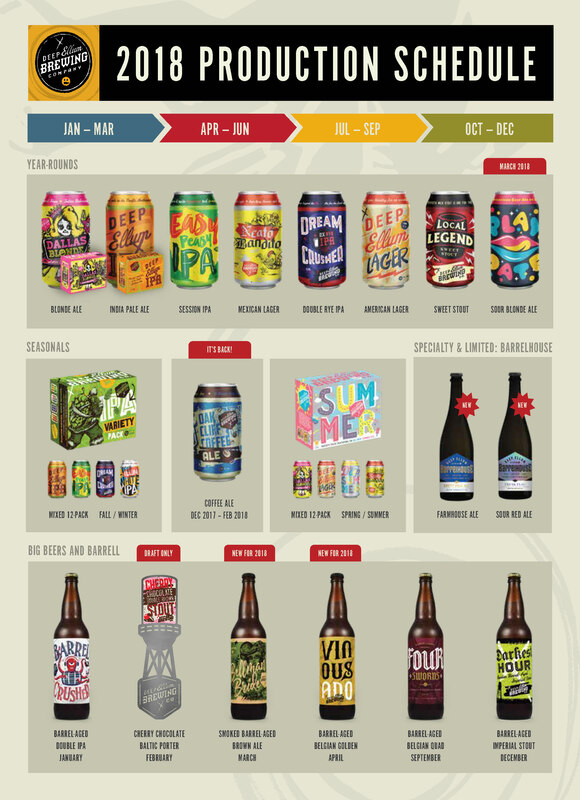 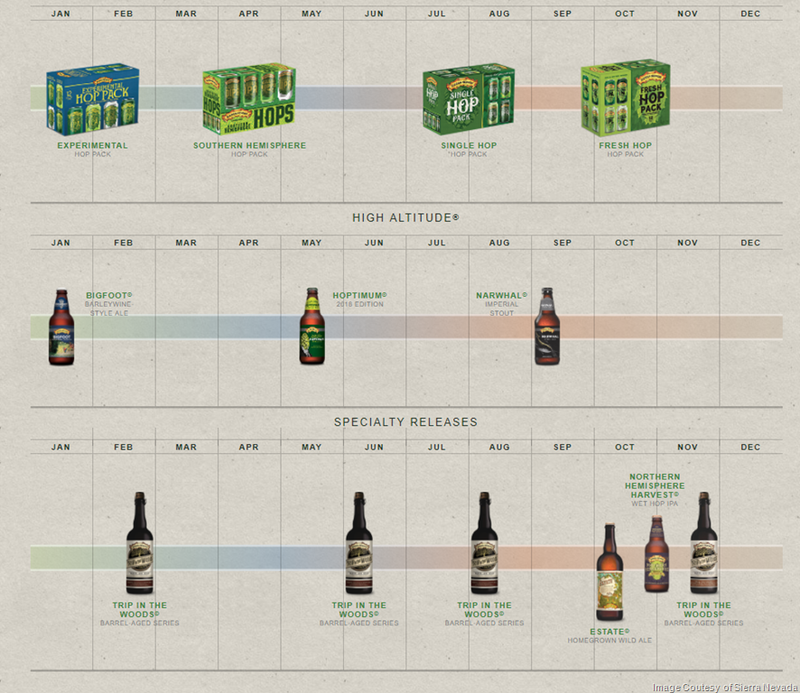 Stay tuned to Revolution’s Beer Calendar site for more specialty releases. 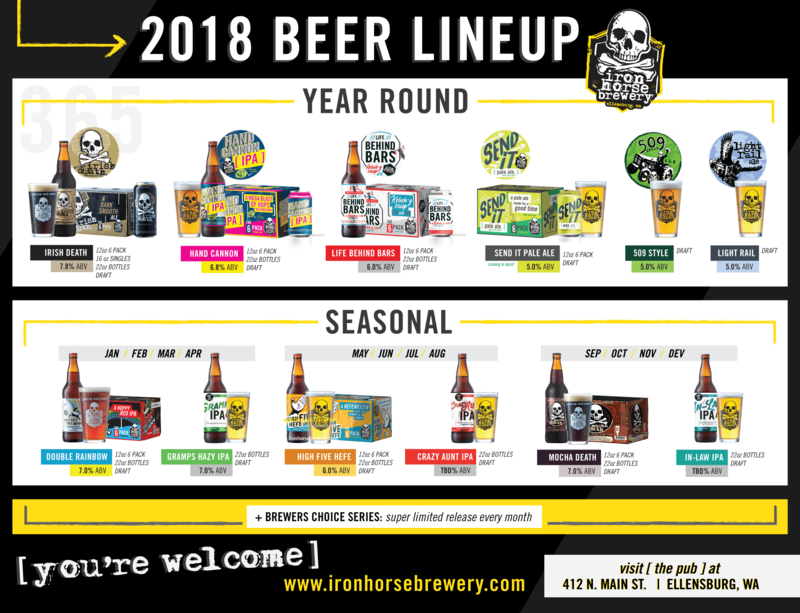 Interested in joining the PorchDrinking team? 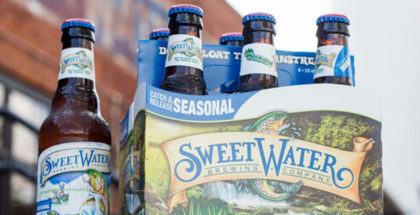 We’re looking for strong writers, storytellers and reporters in markets across the U.S. who are passionate about covering the beer industry. 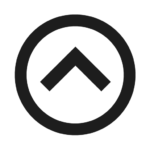 We’re also looking to build a part-time sales team. 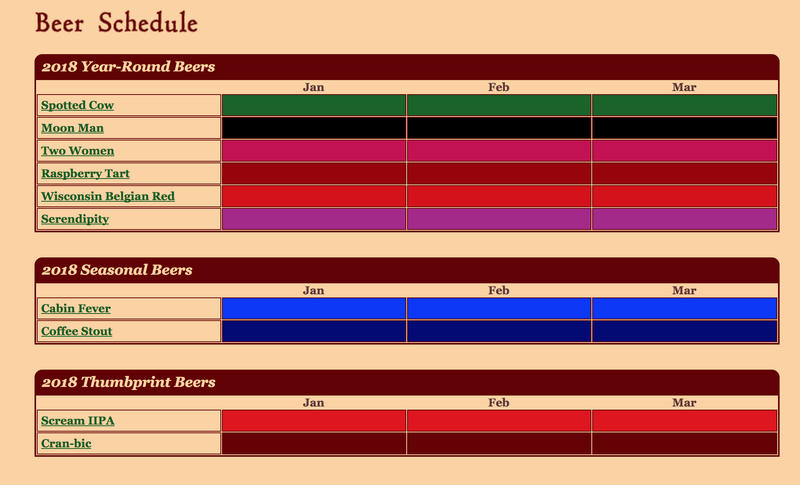 Please e-mail Tristan [at] porchdrinking [dot] com for more information.